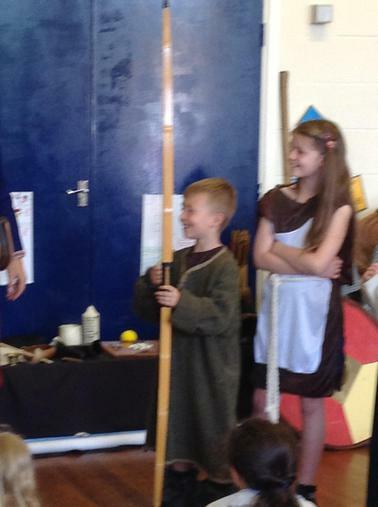 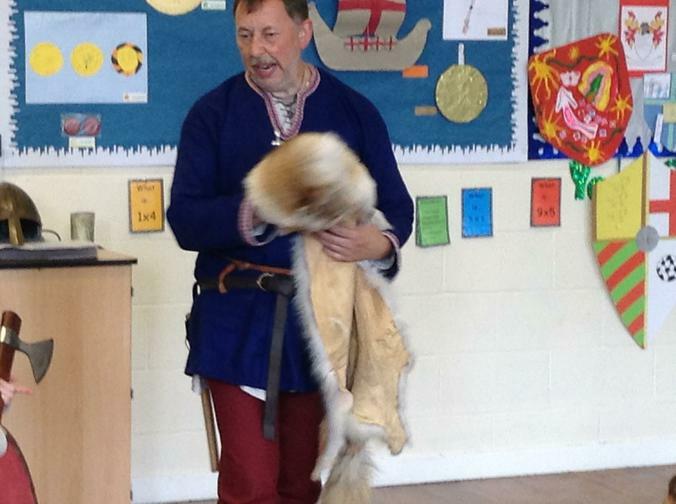 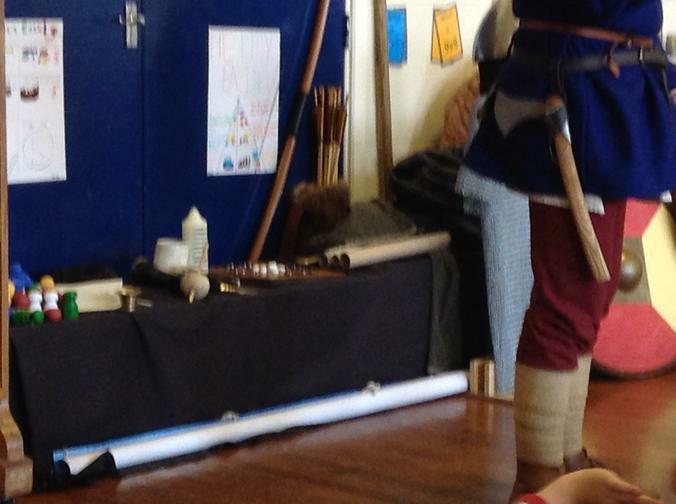 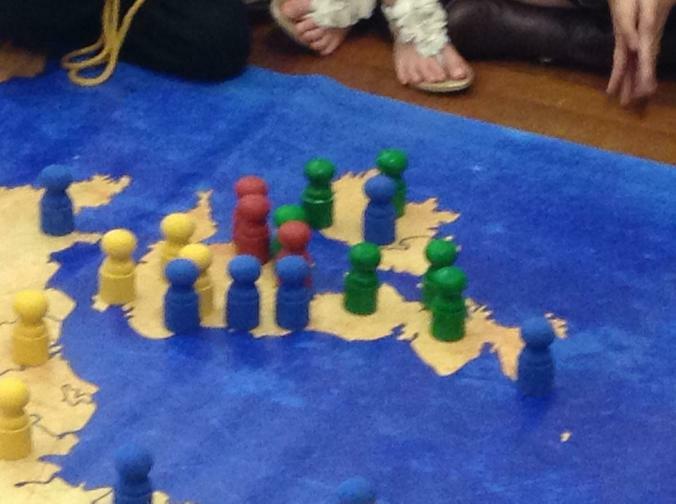 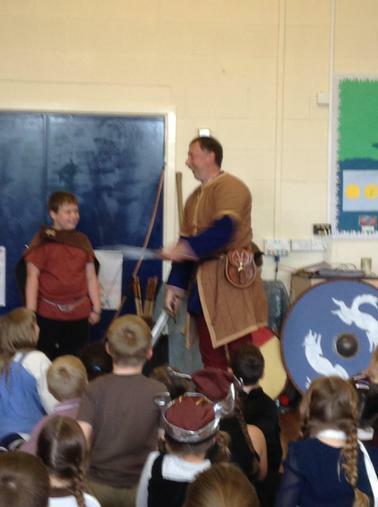 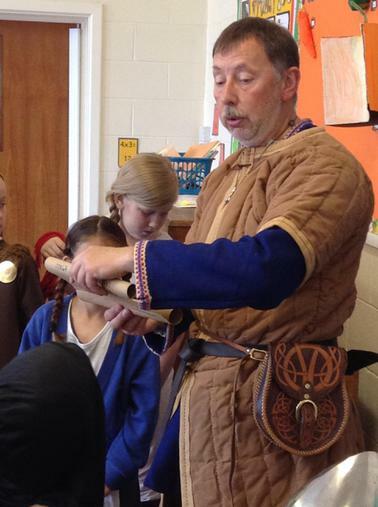 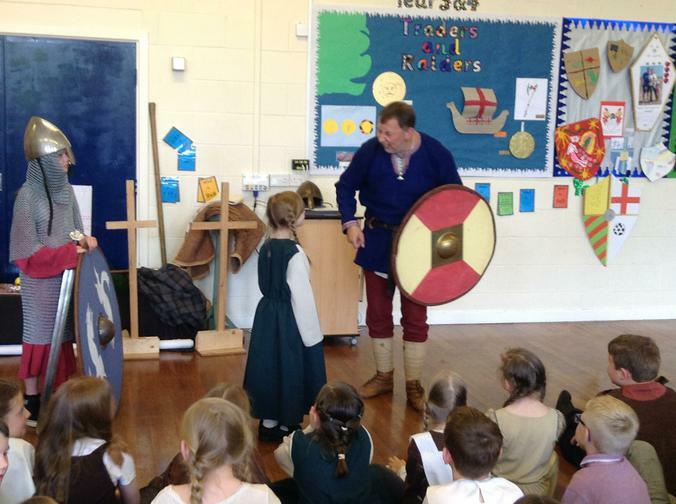 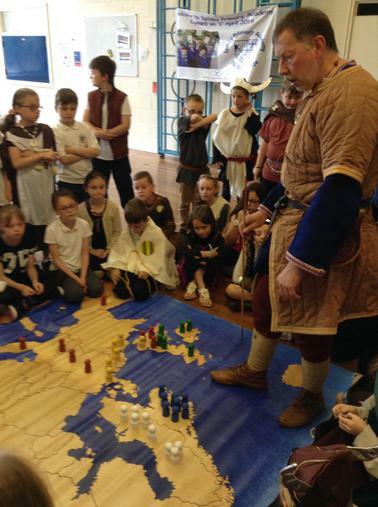 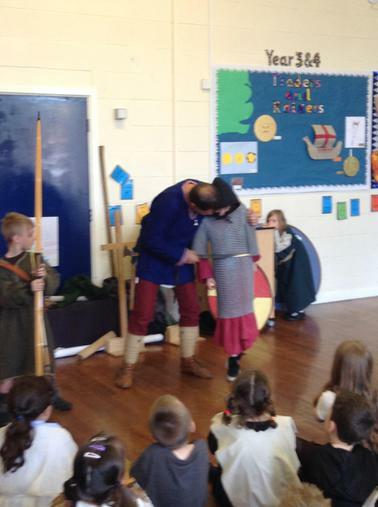 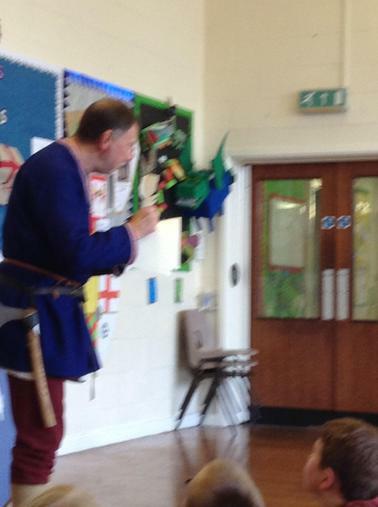 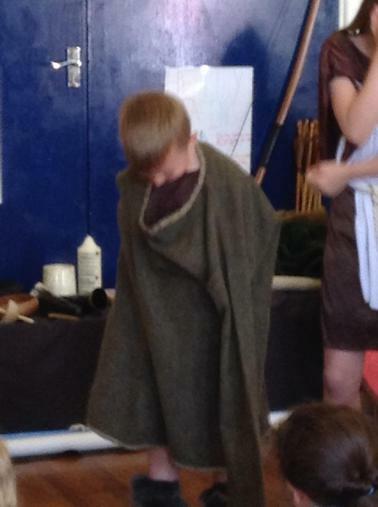 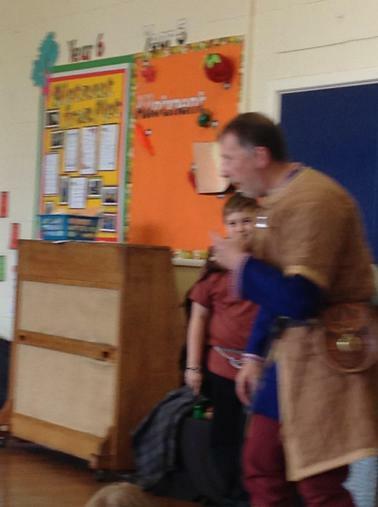 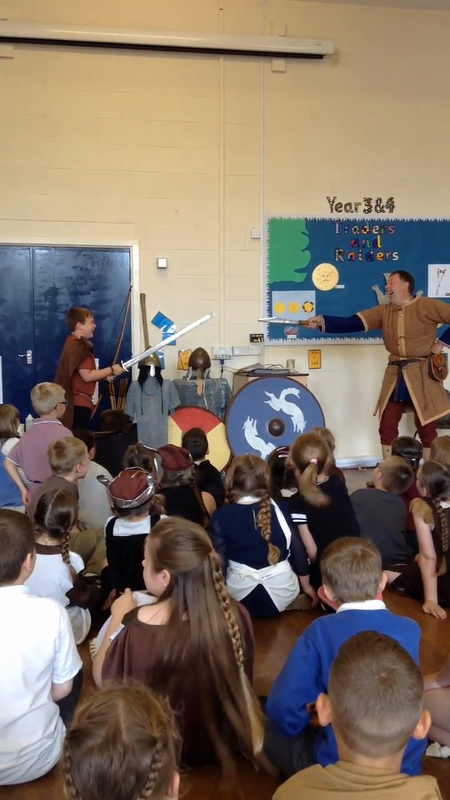 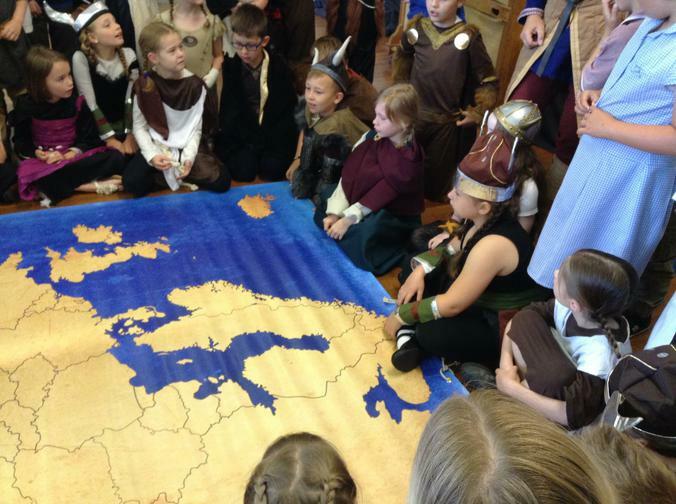 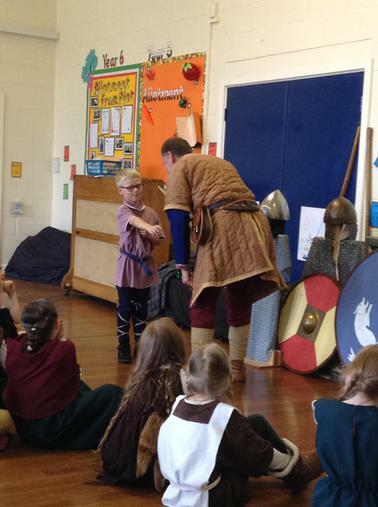 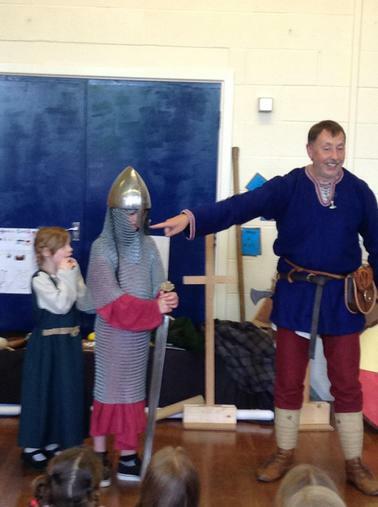 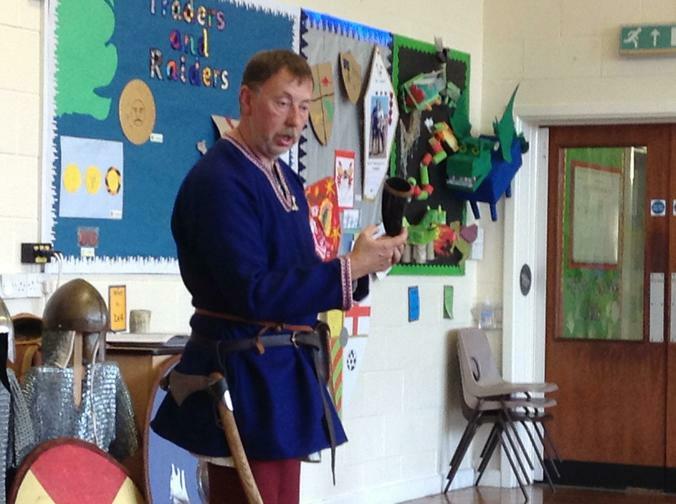 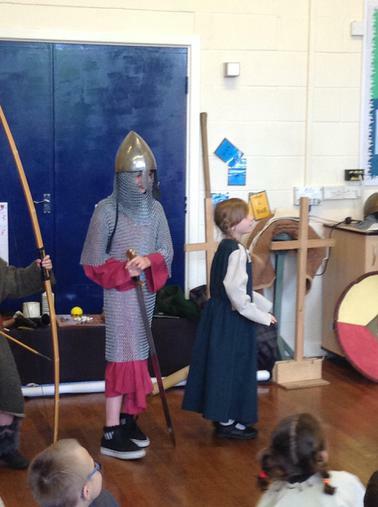 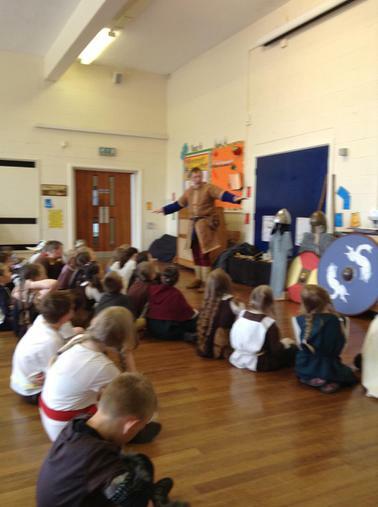 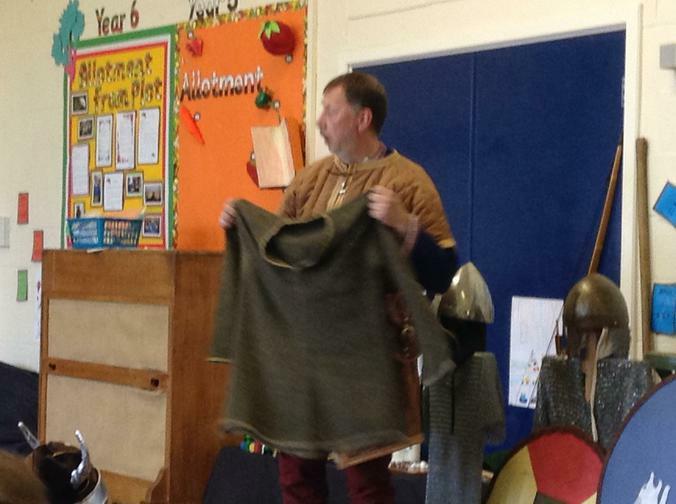 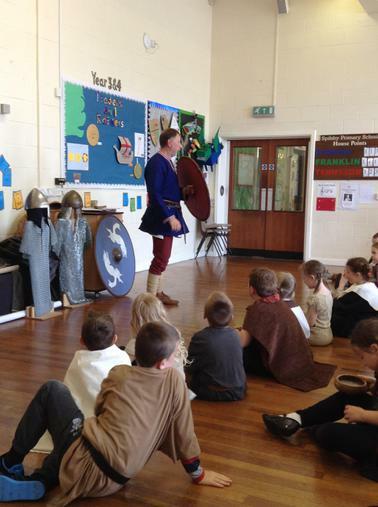 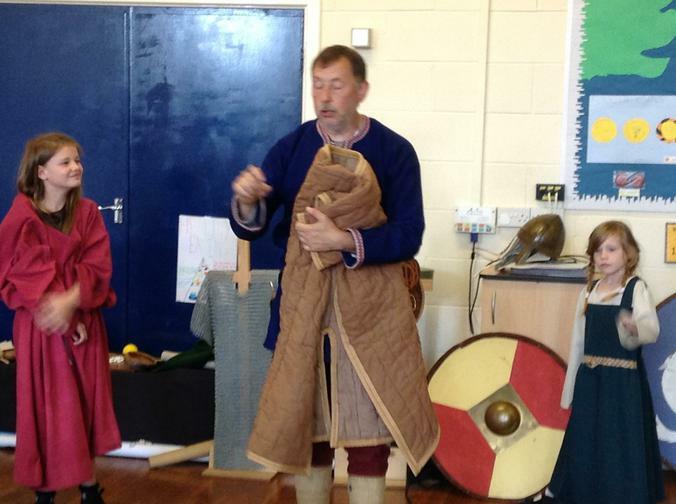 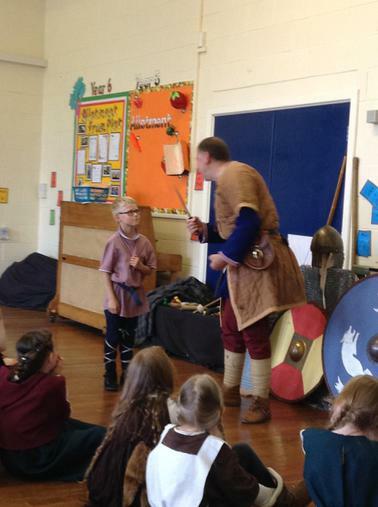 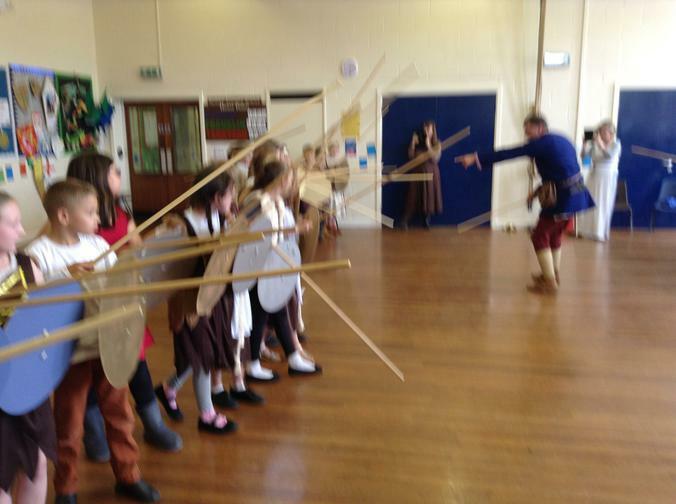 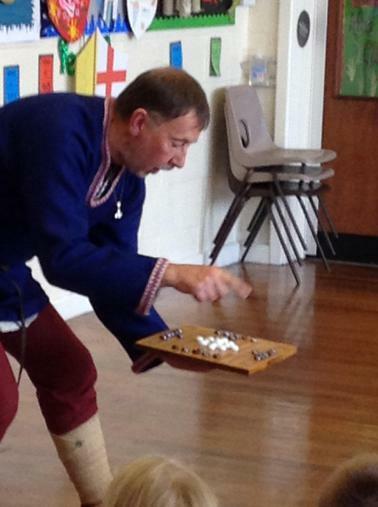 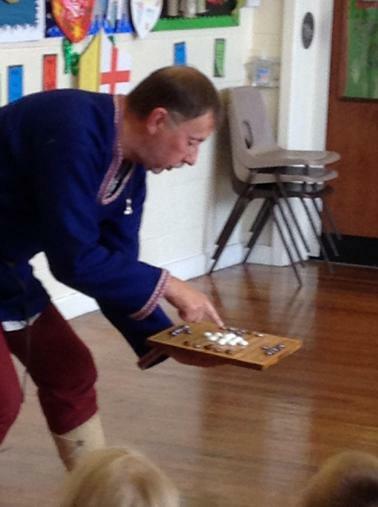 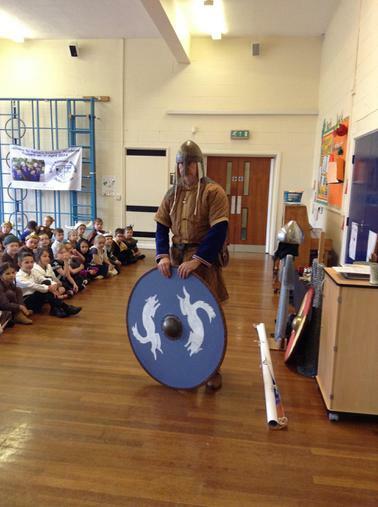 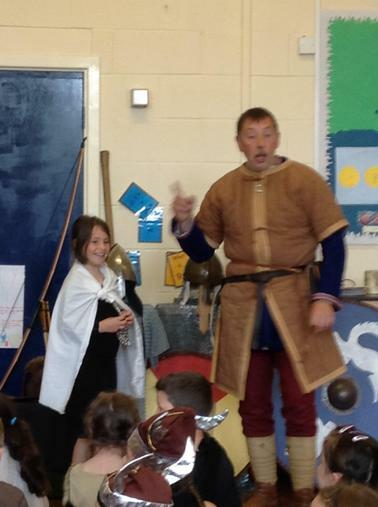 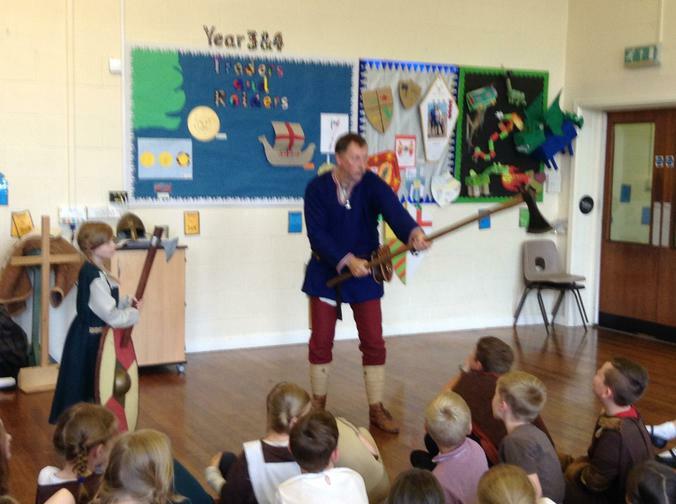 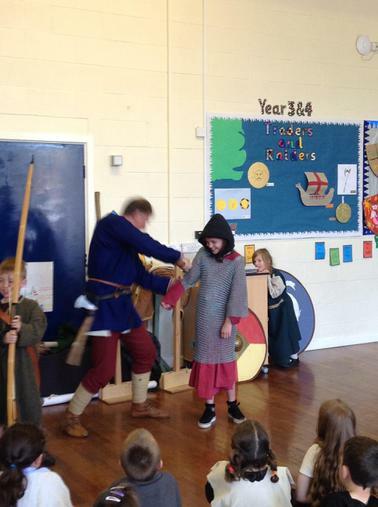 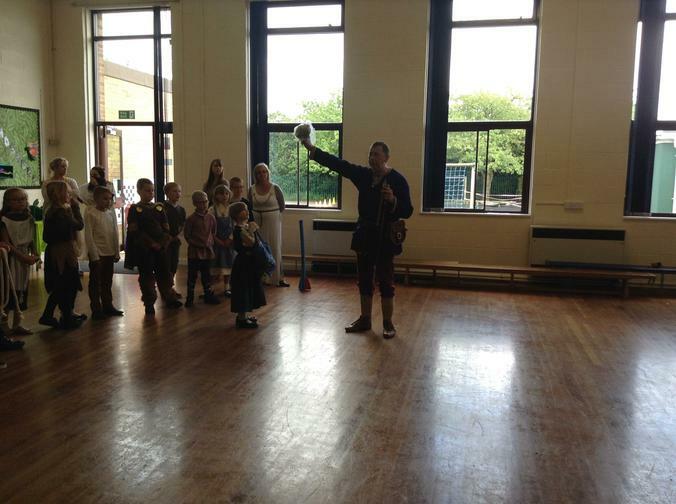 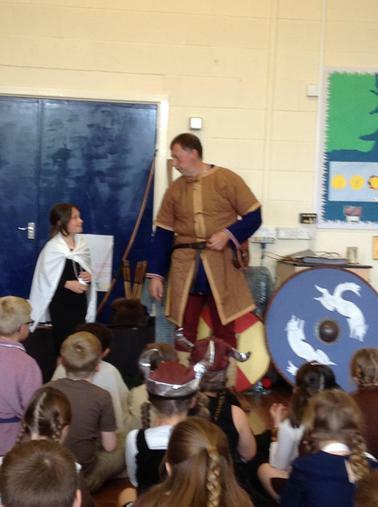 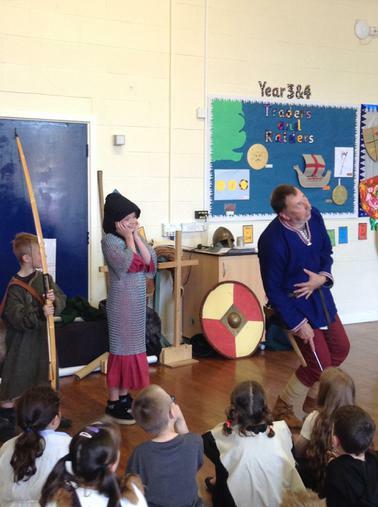 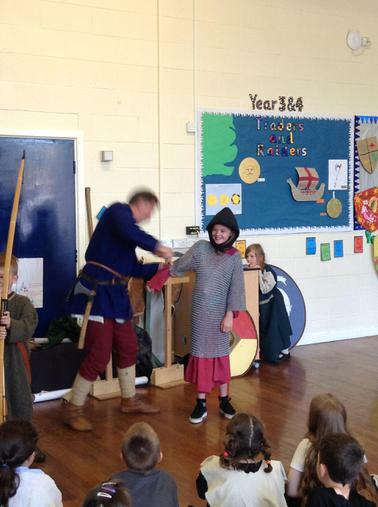 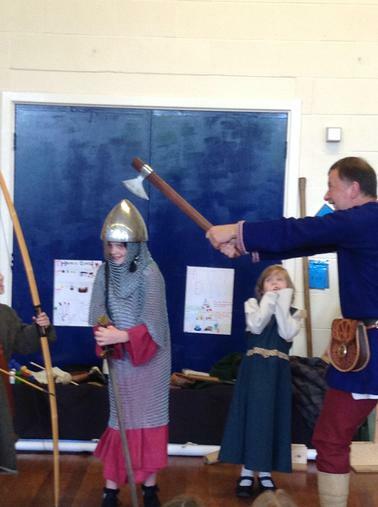 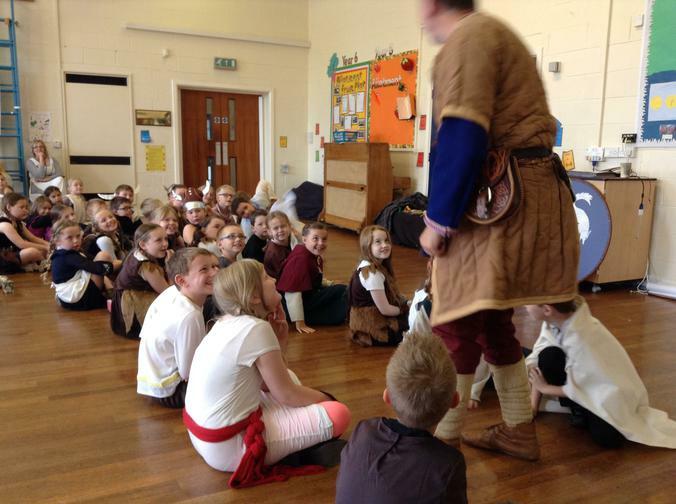 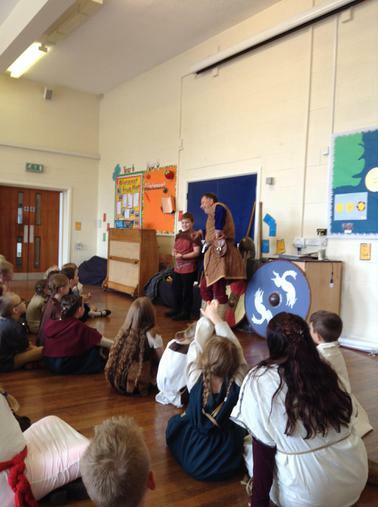 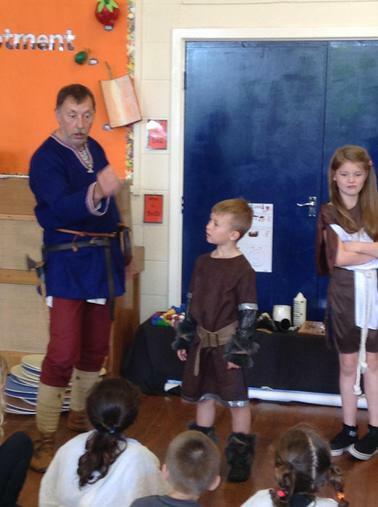 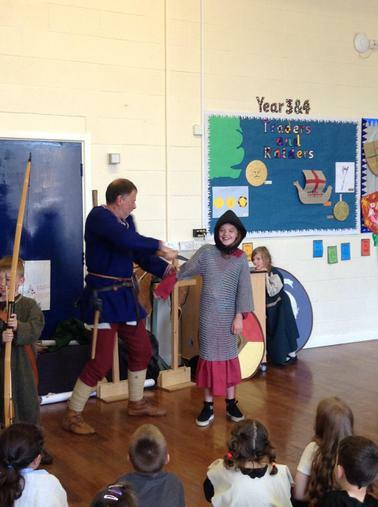 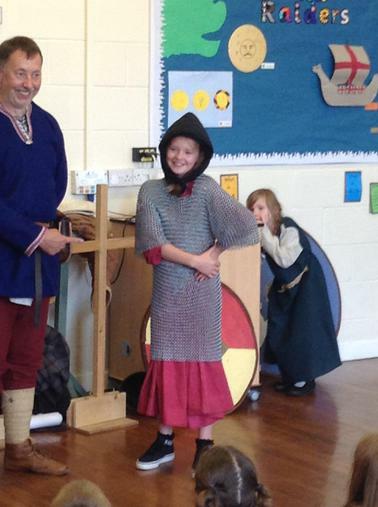 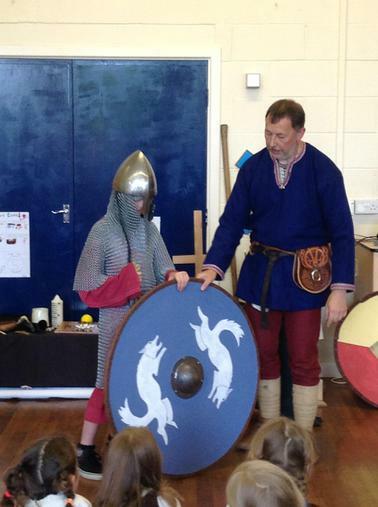 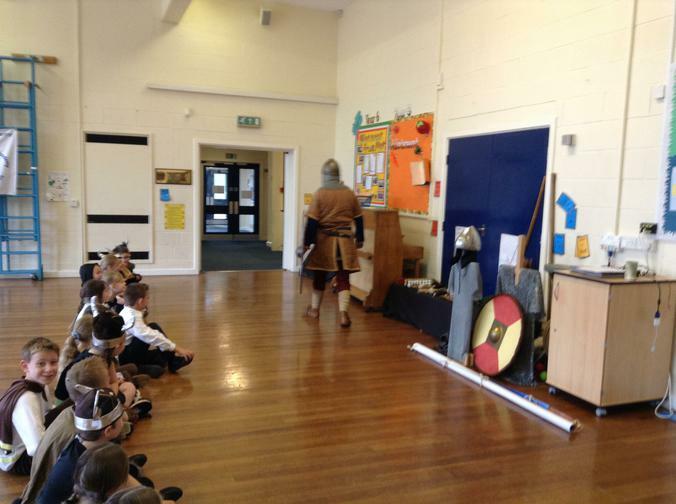 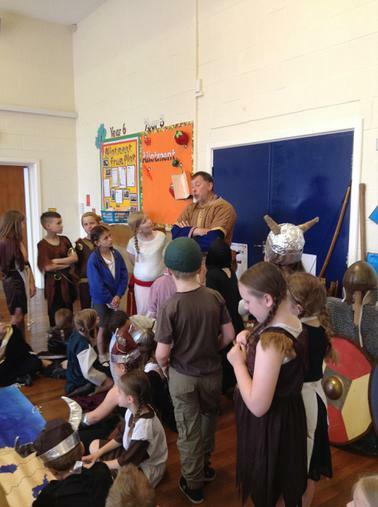 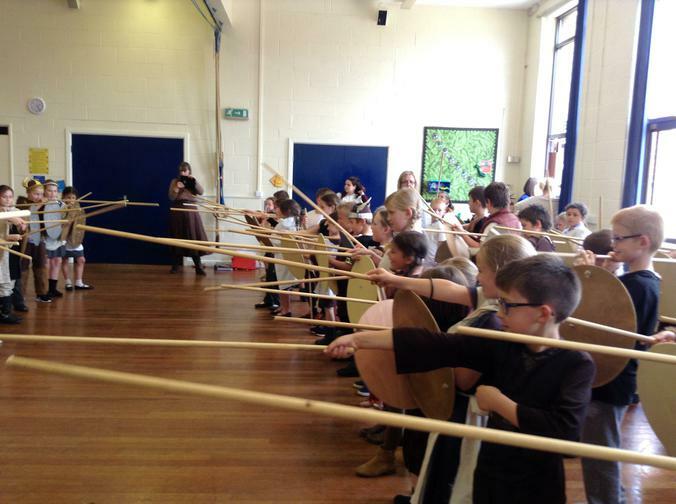 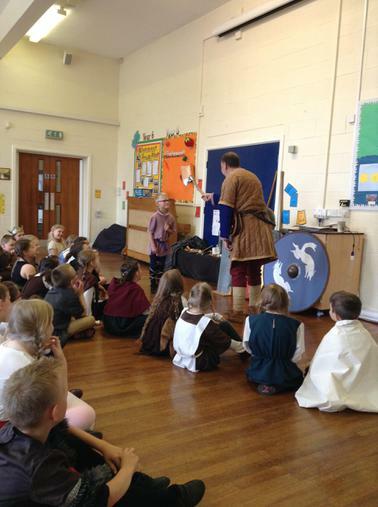 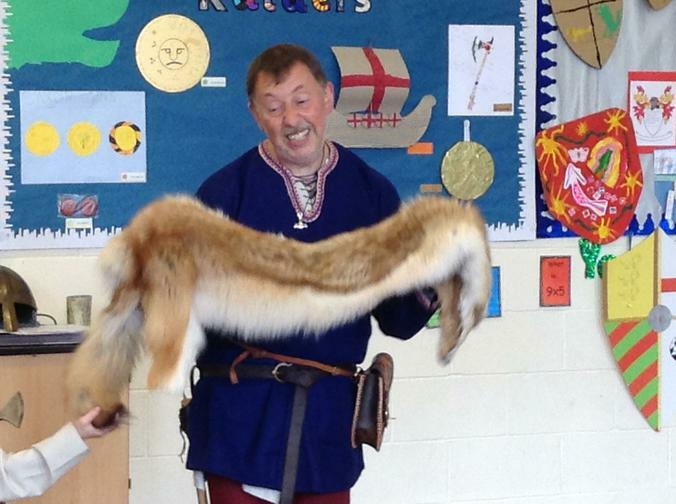 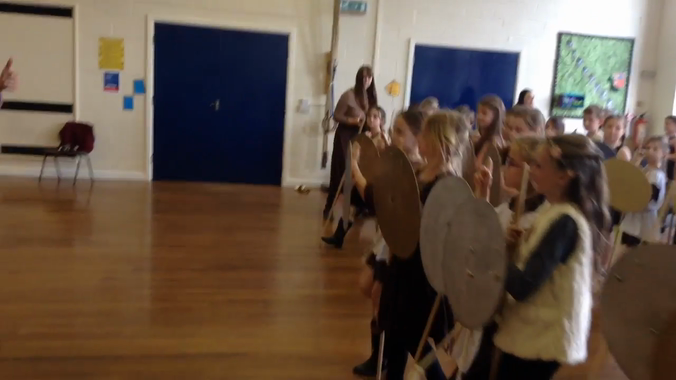 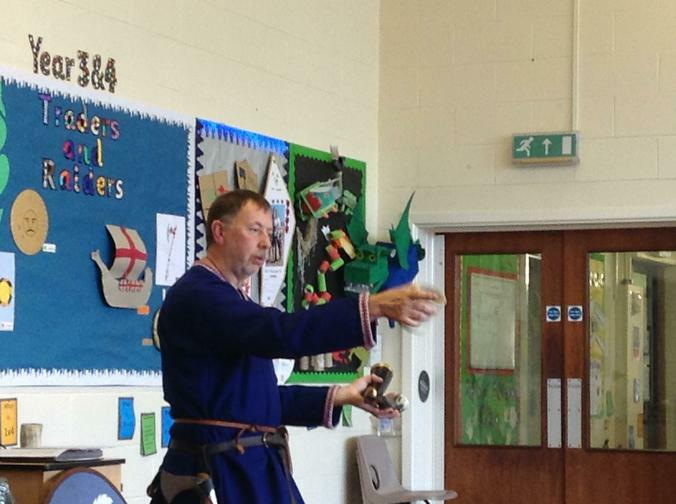 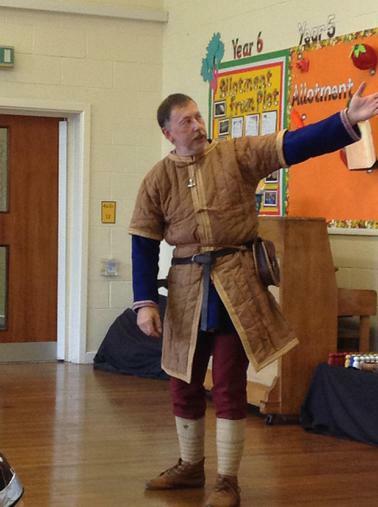 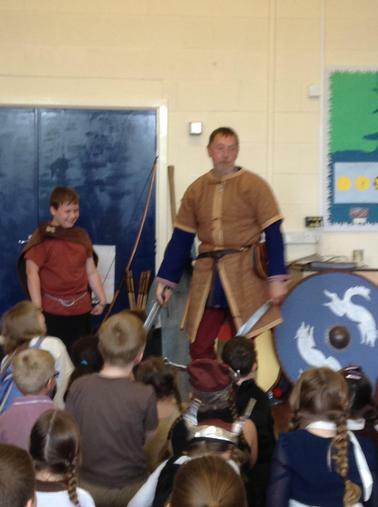 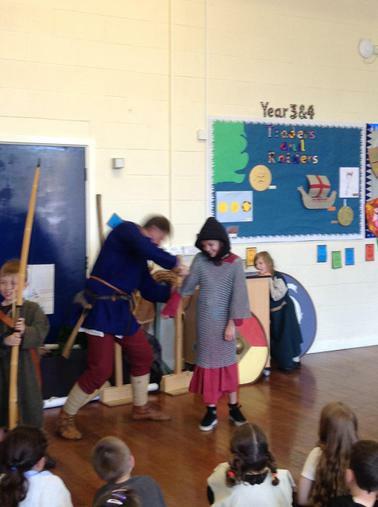 Years 3 and 4 experienced a full day of Viking activities and history with Uhtred Uhtredson. 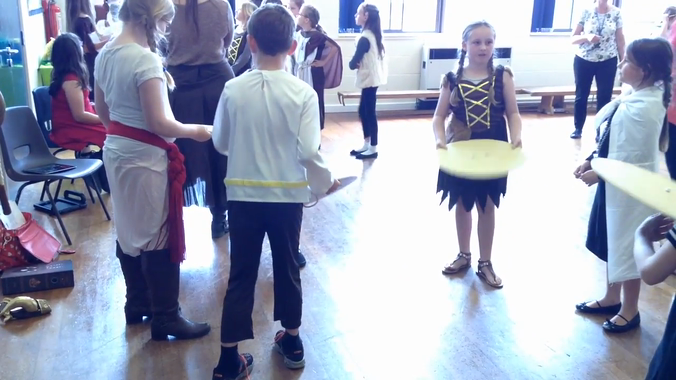 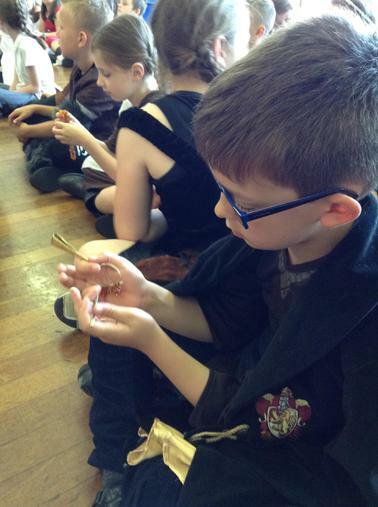 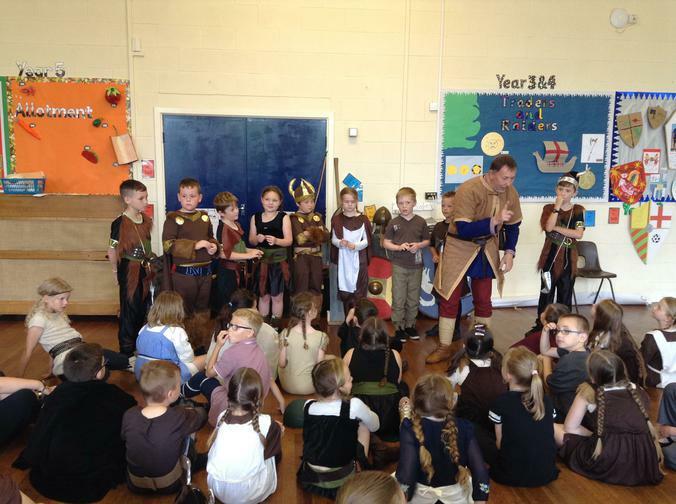 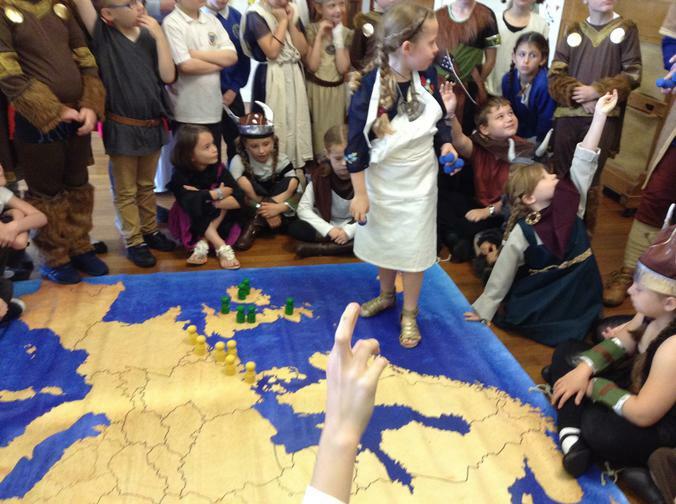 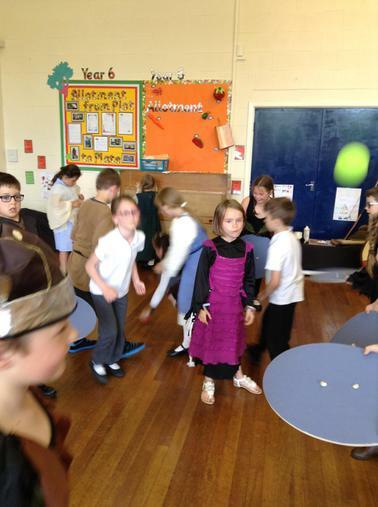 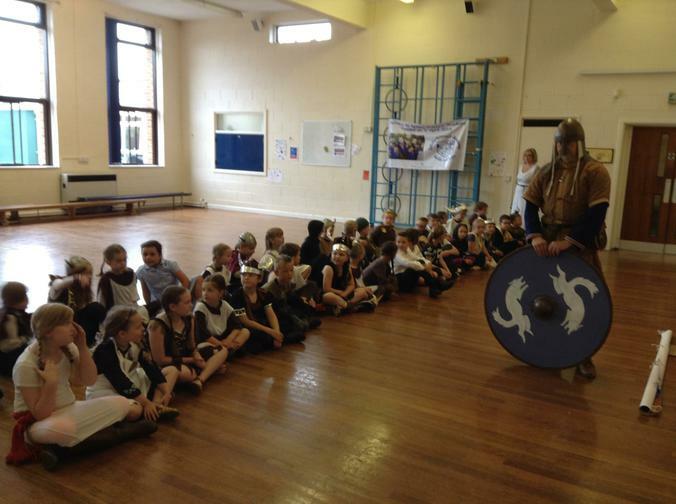 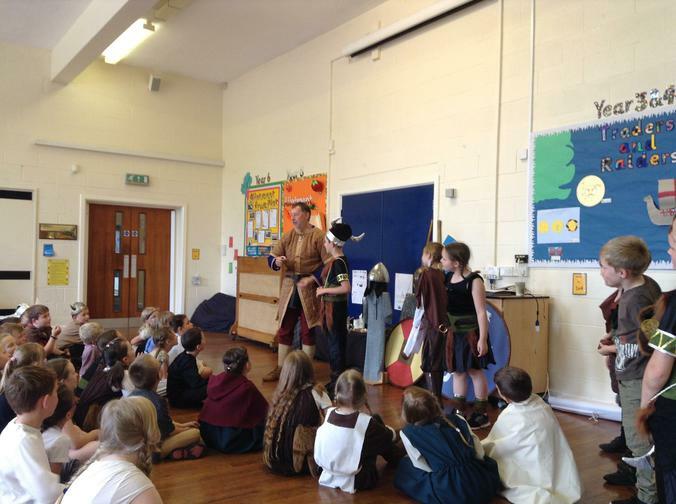 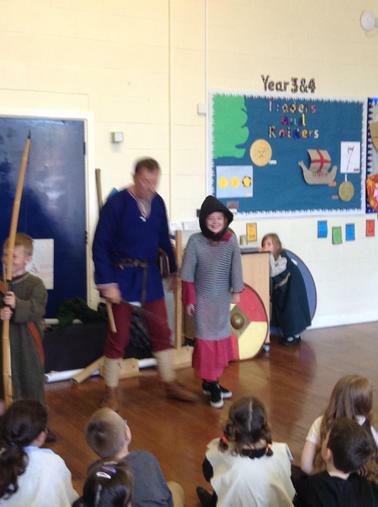 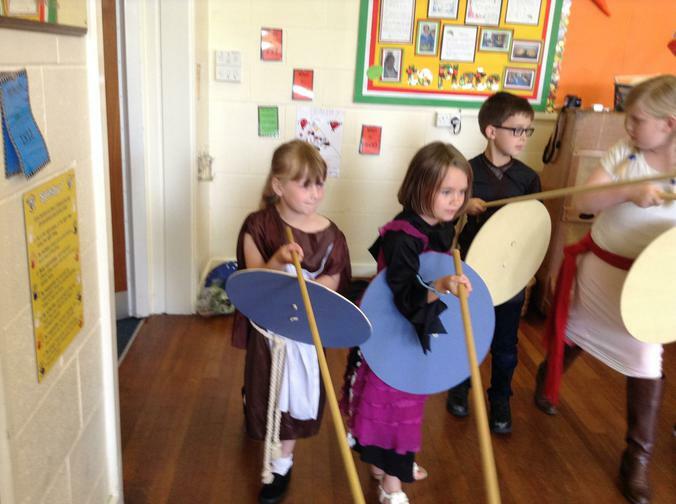 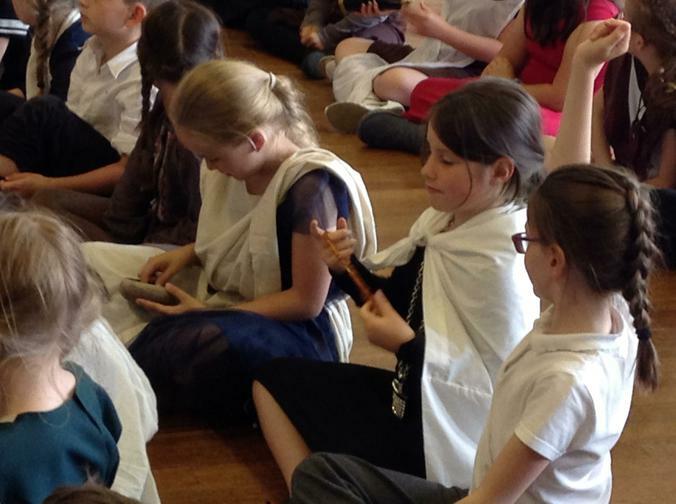 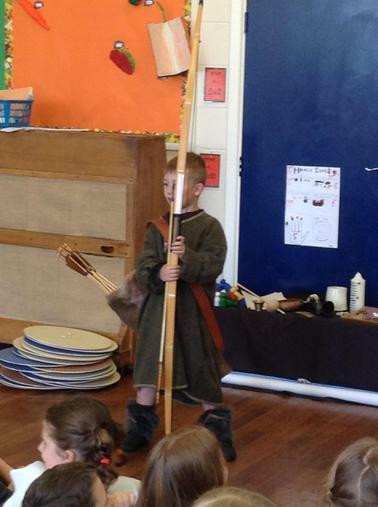 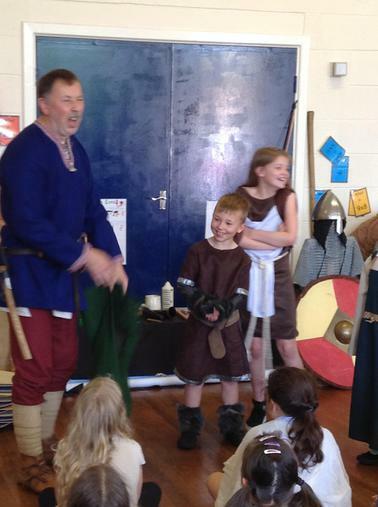 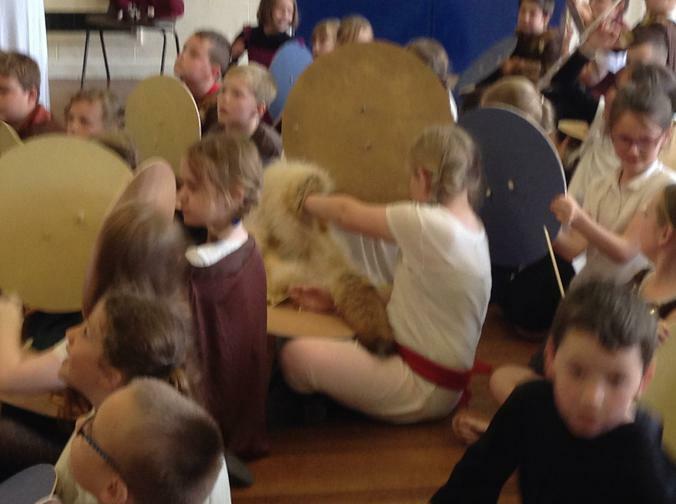 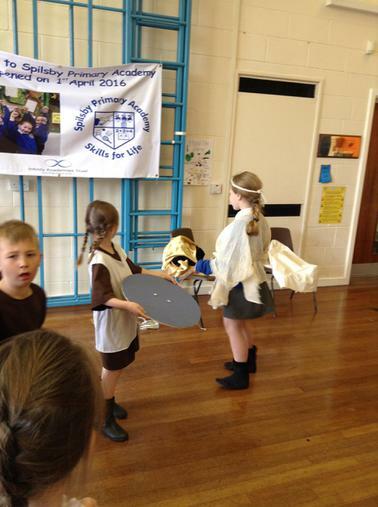 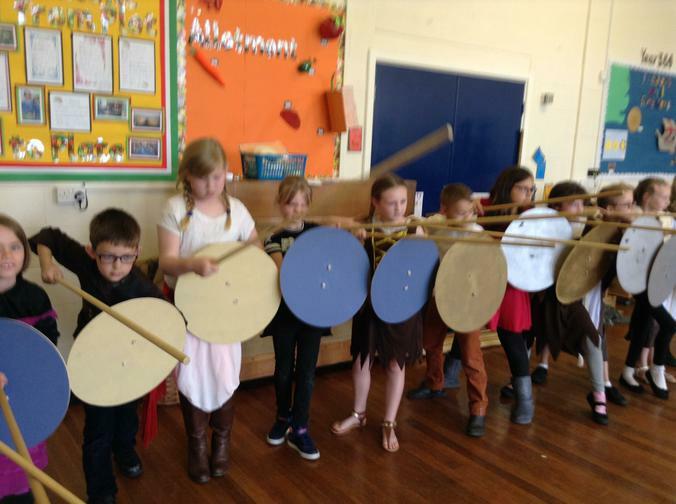 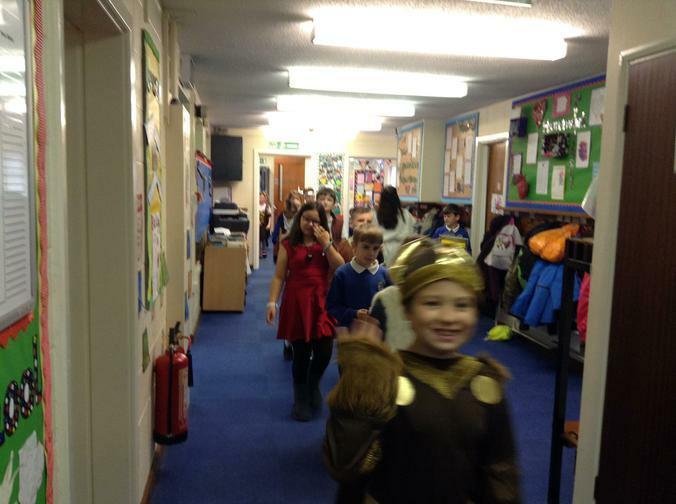 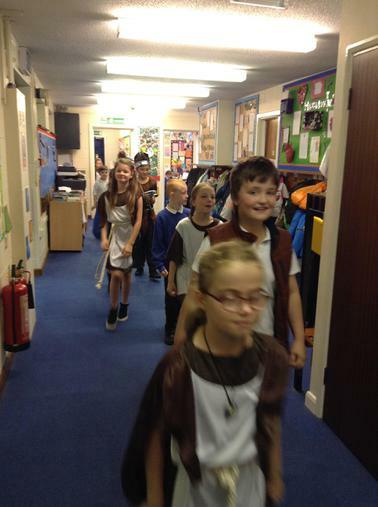 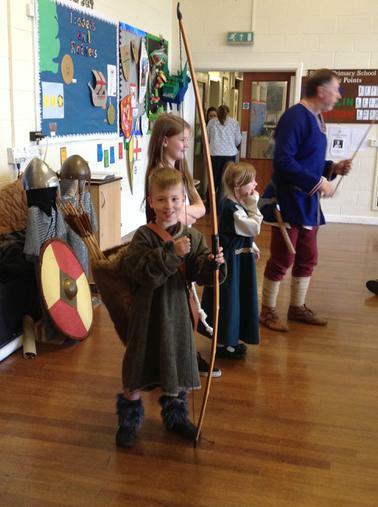 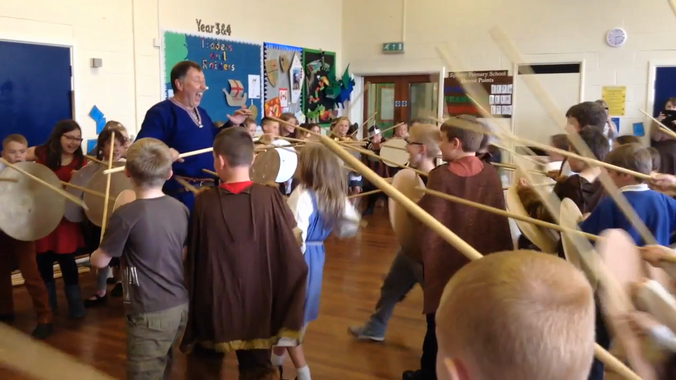 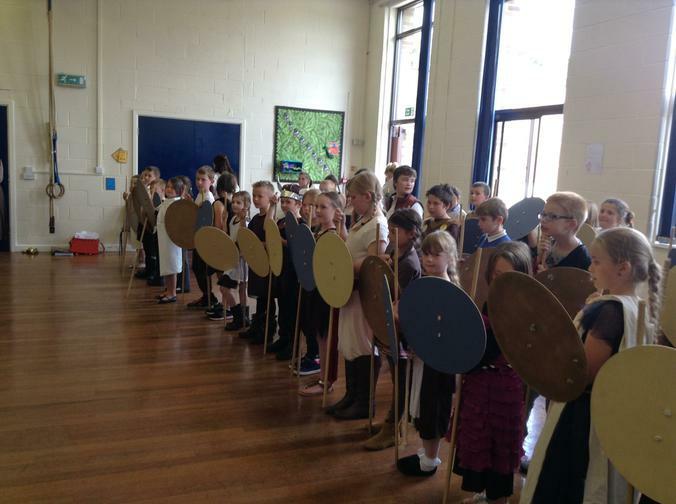 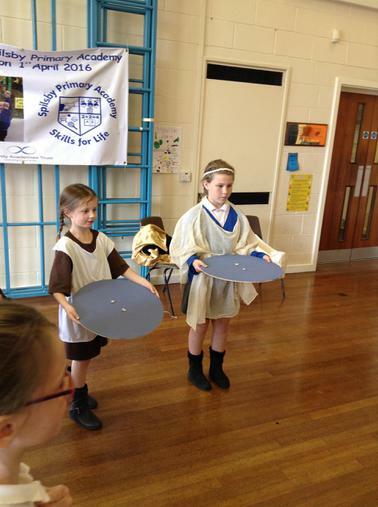 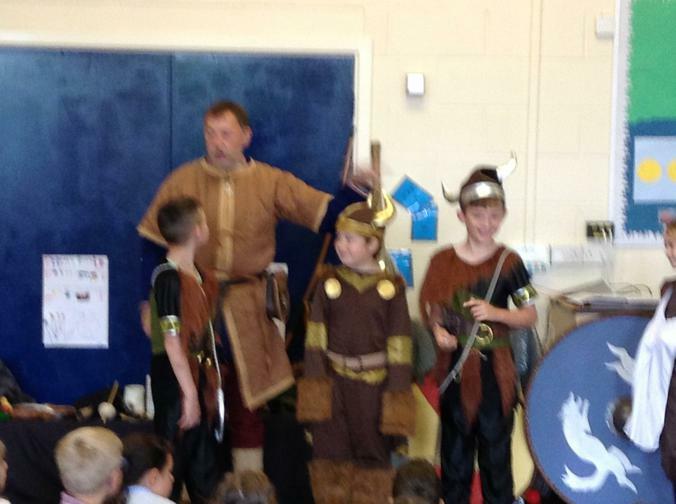 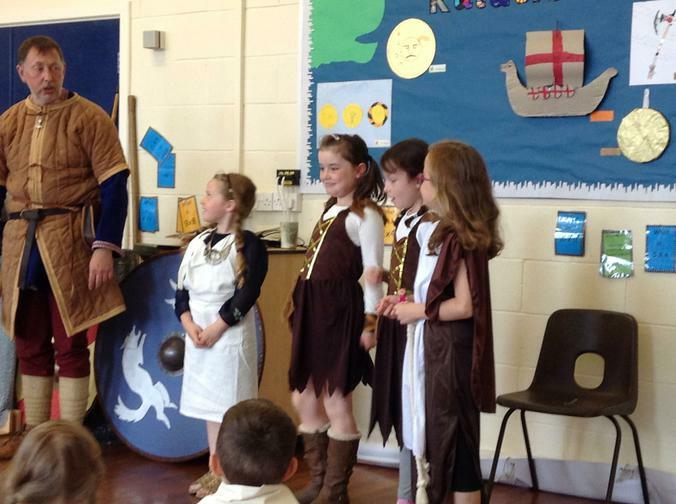 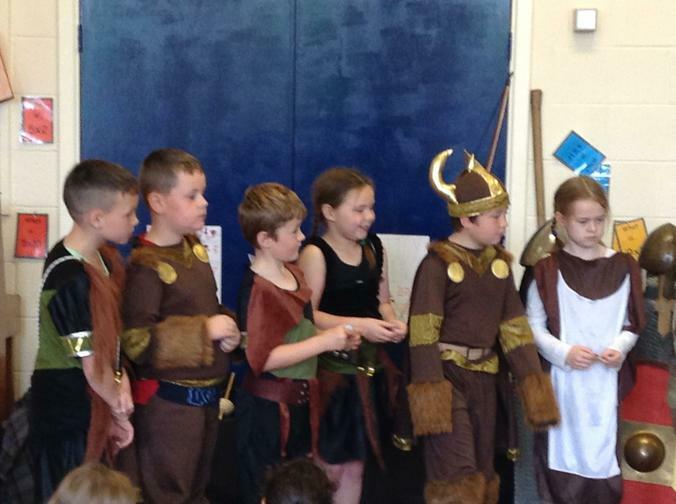 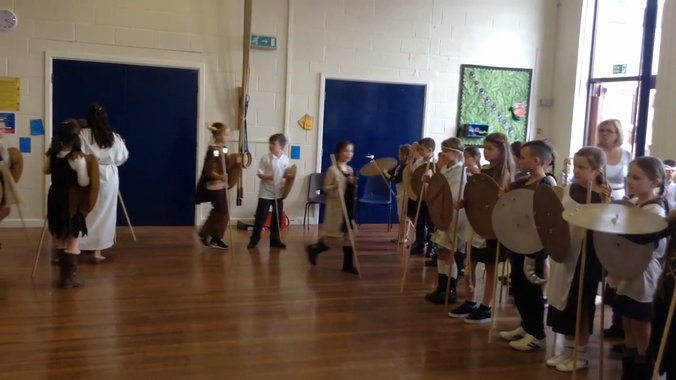 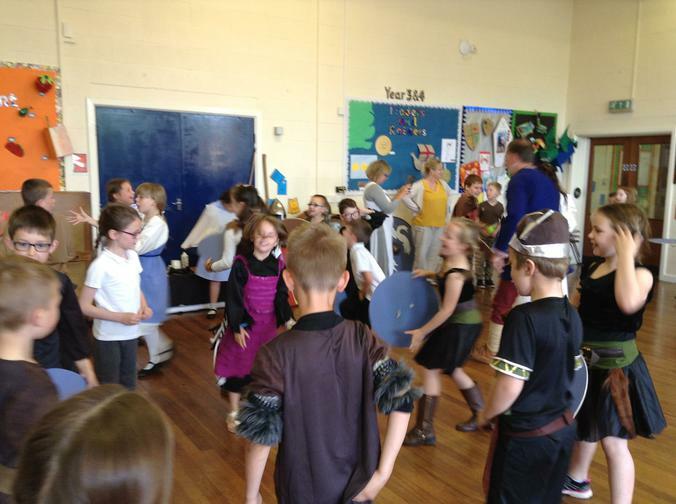 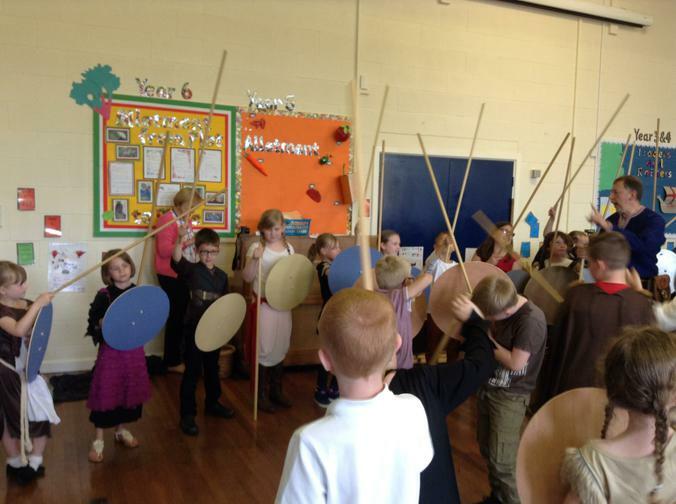 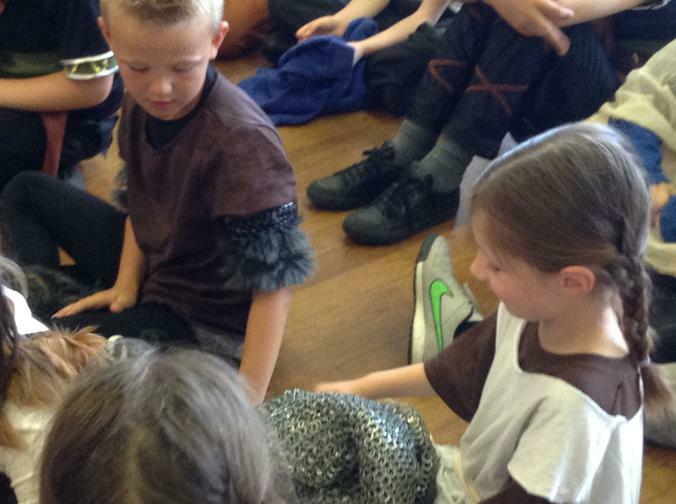 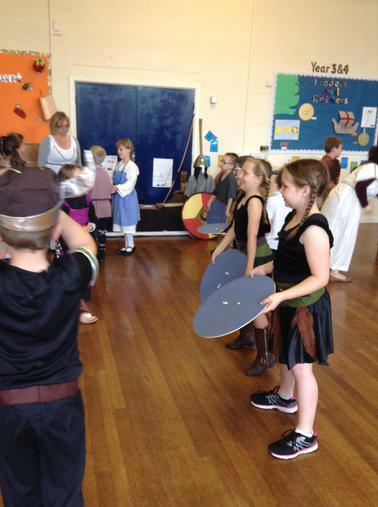 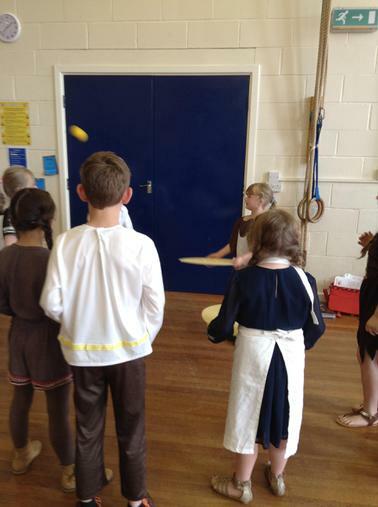 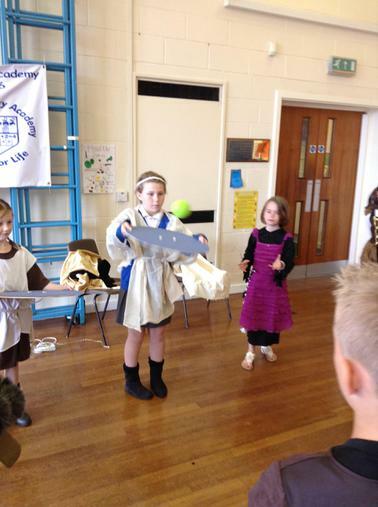 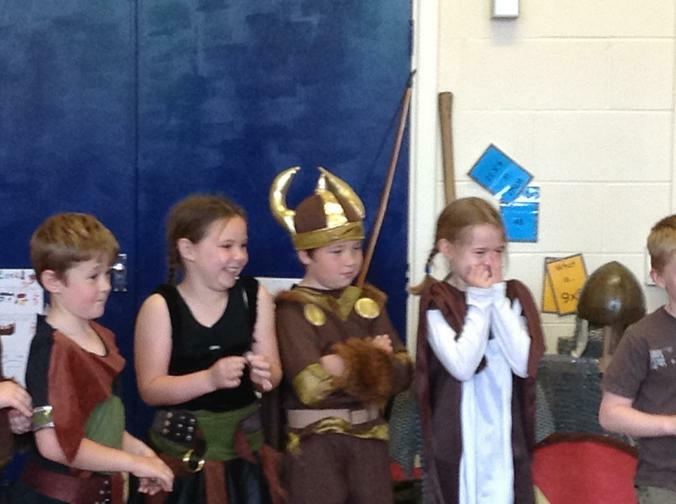 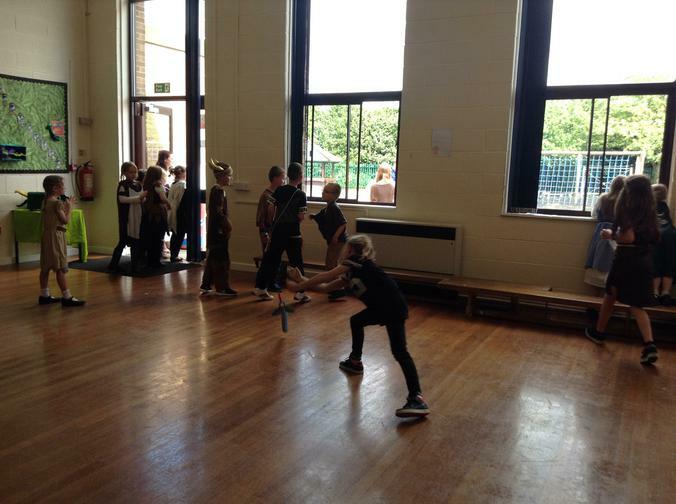 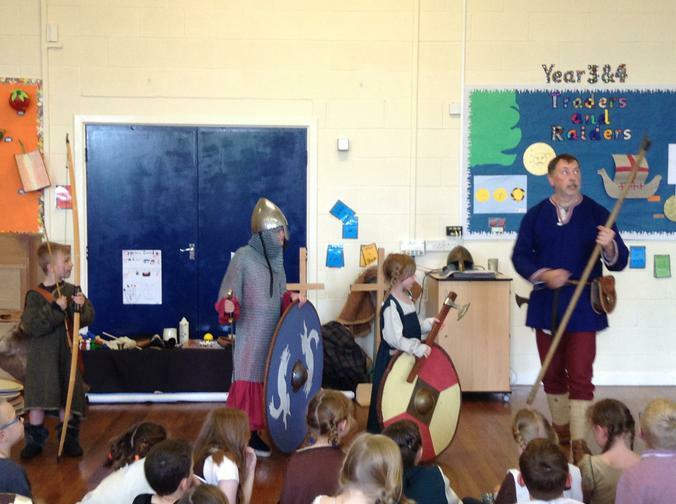 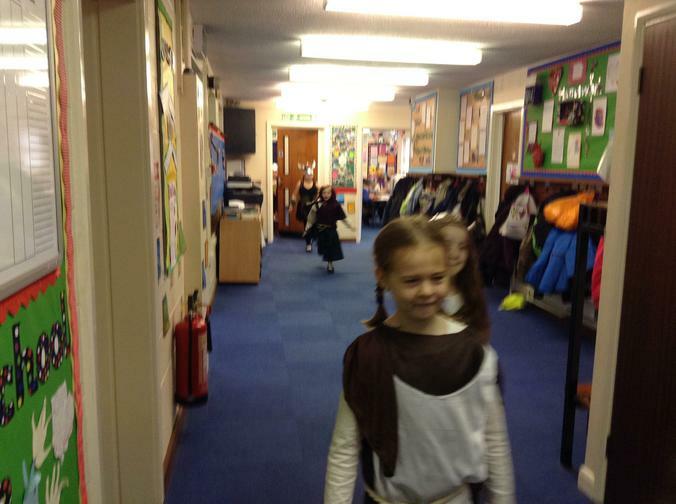 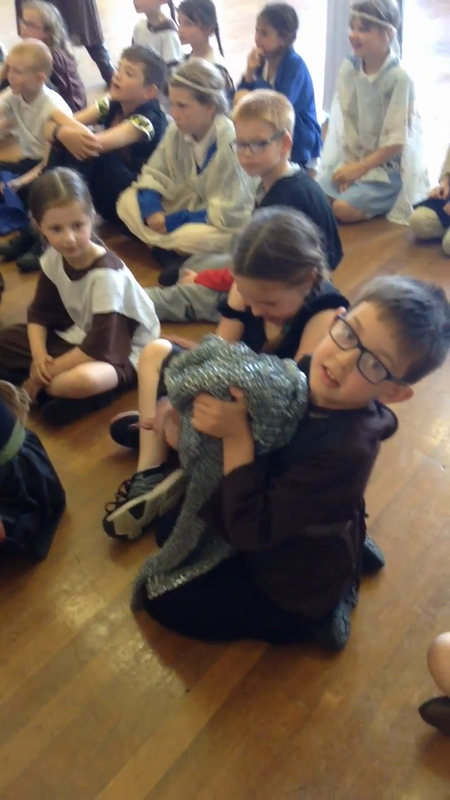 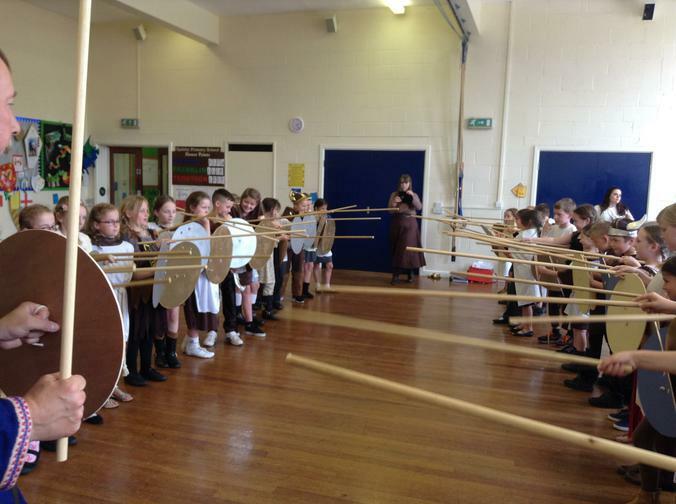 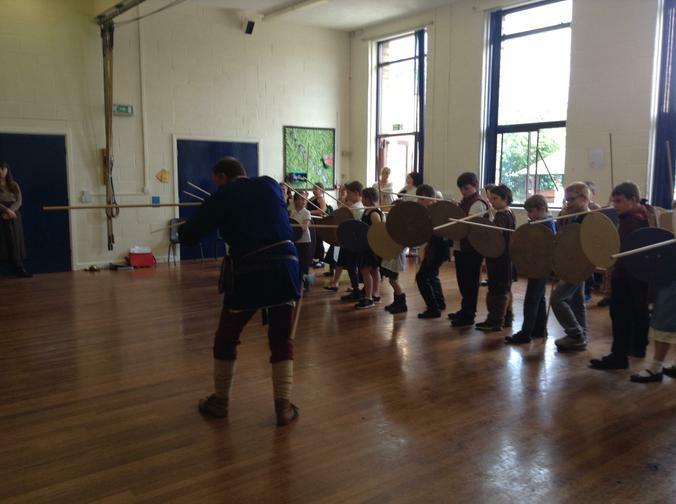 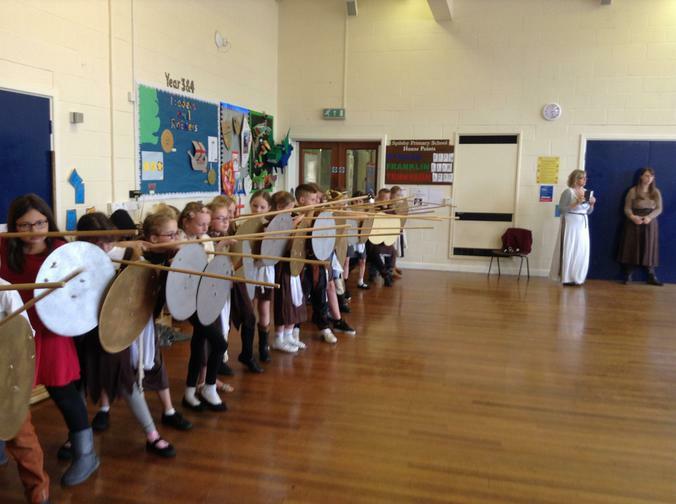 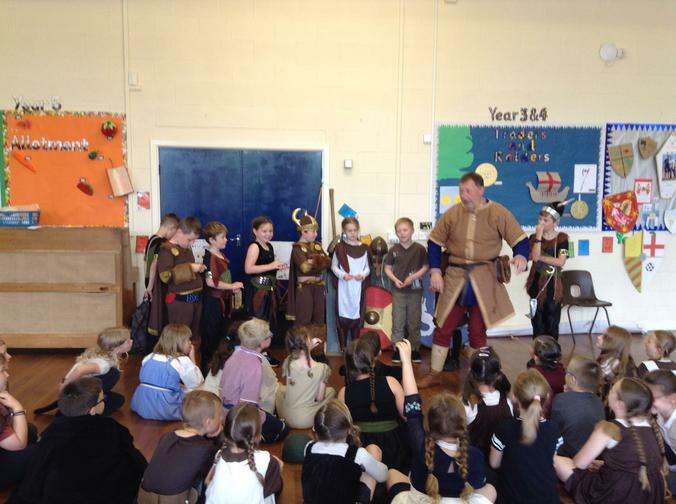 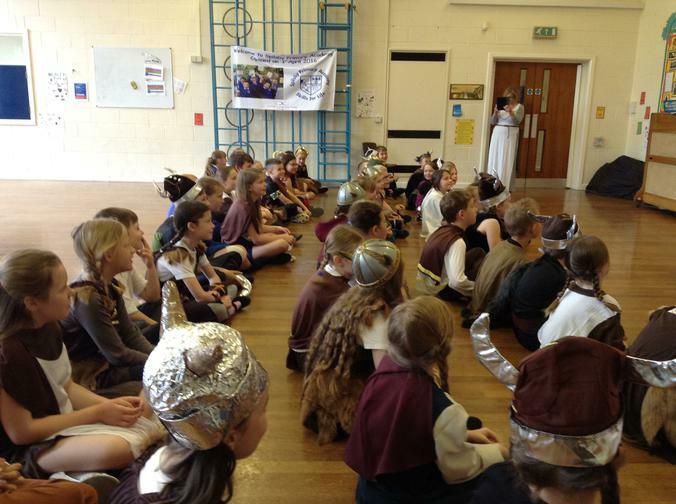 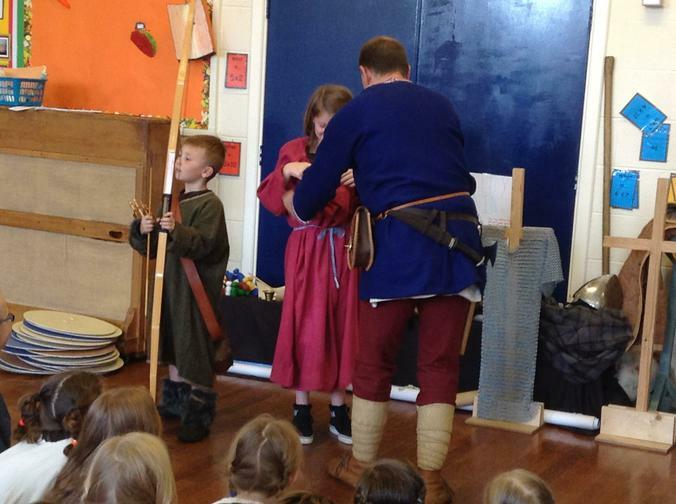 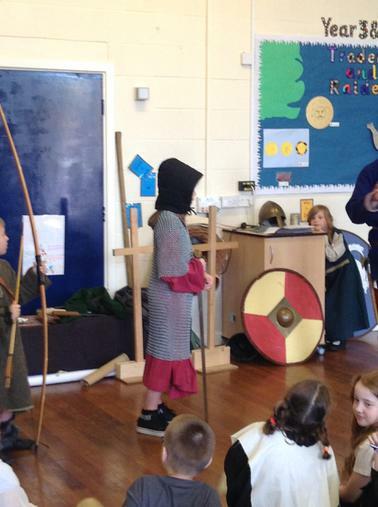 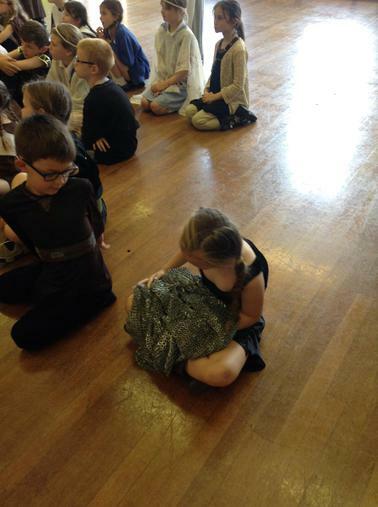 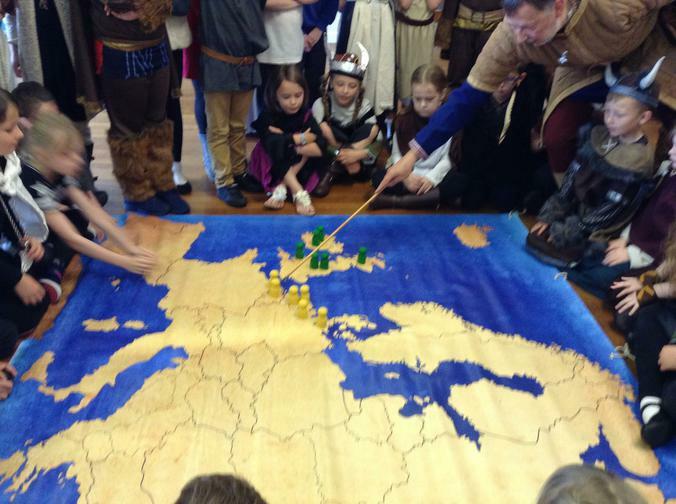 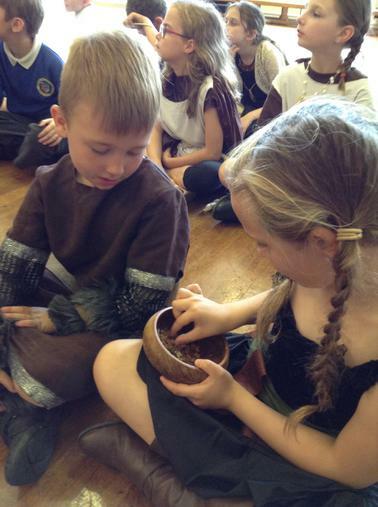 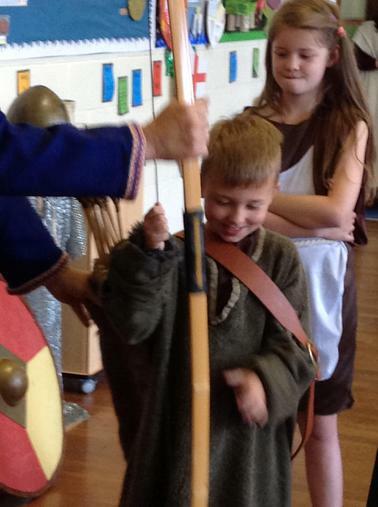 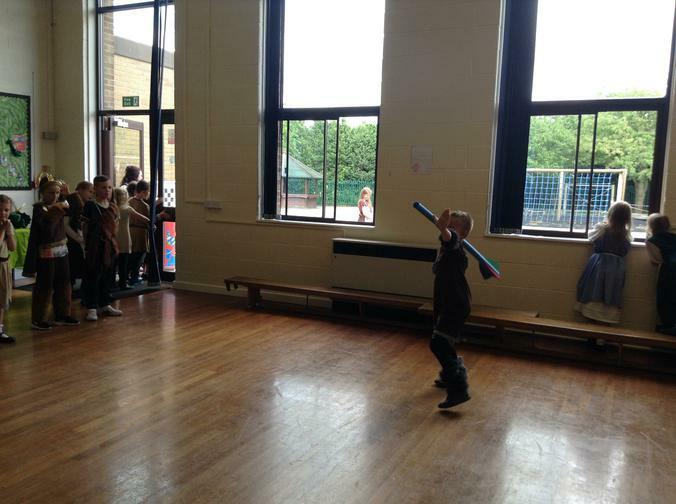 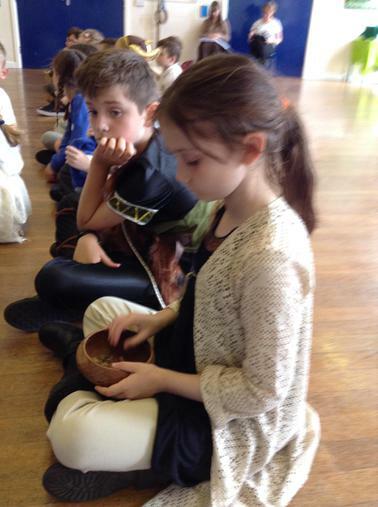 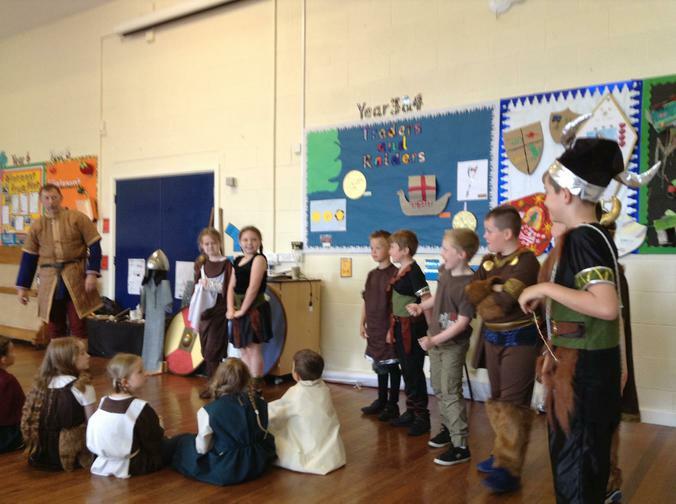 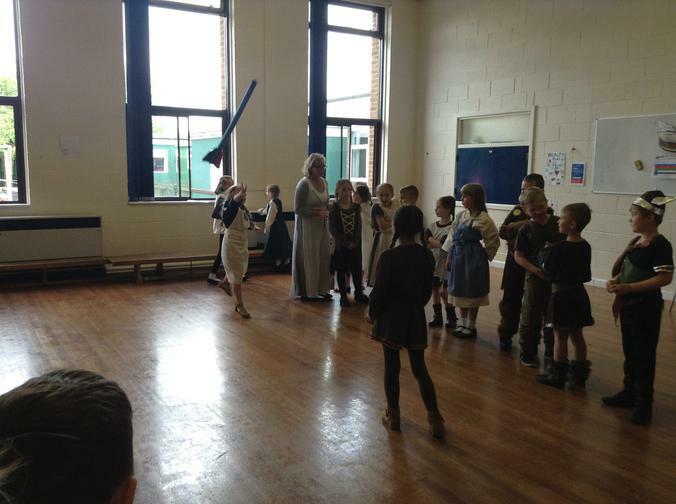 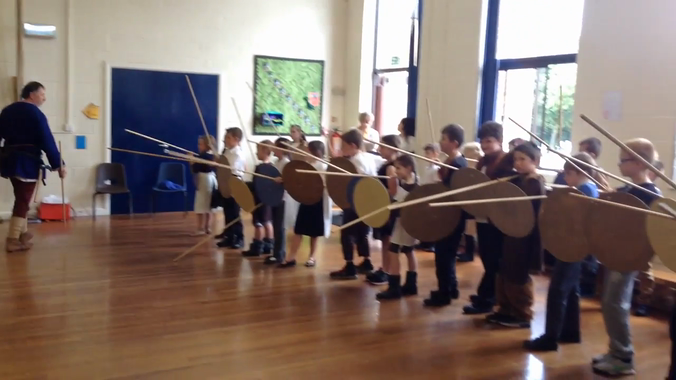 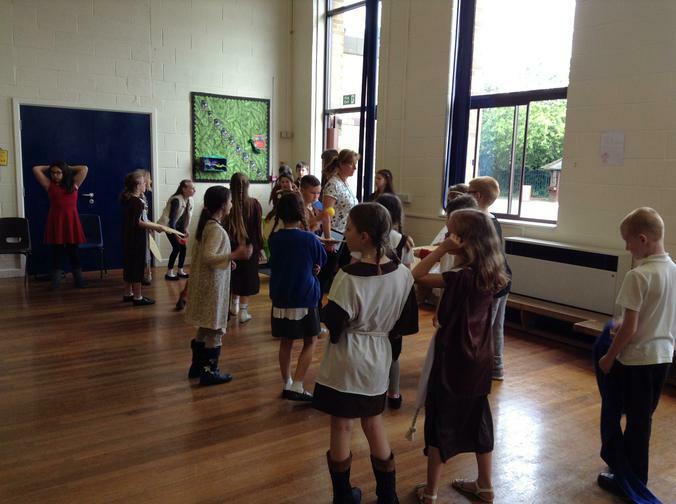 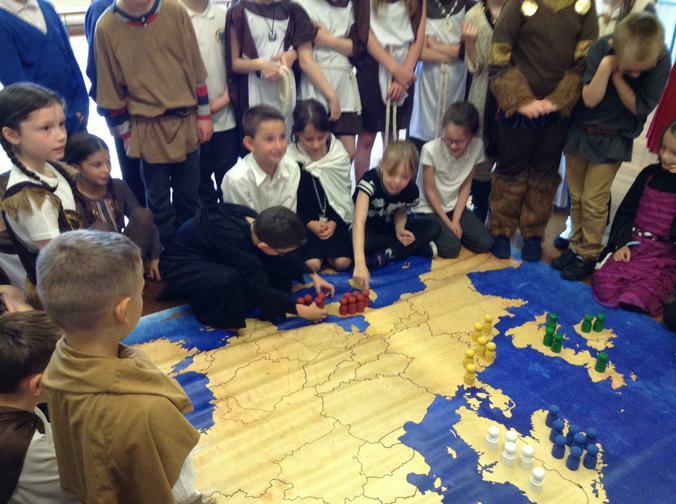 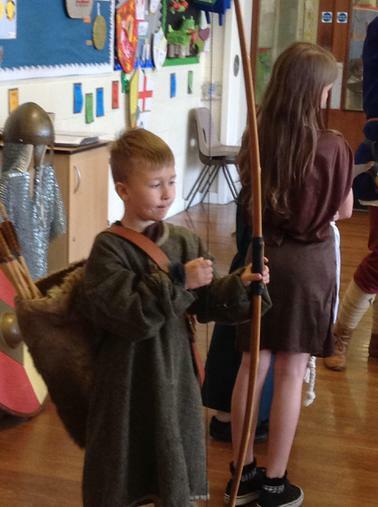 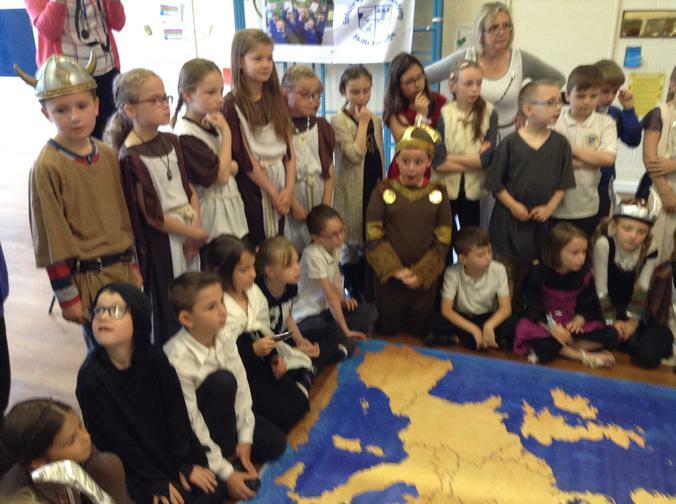 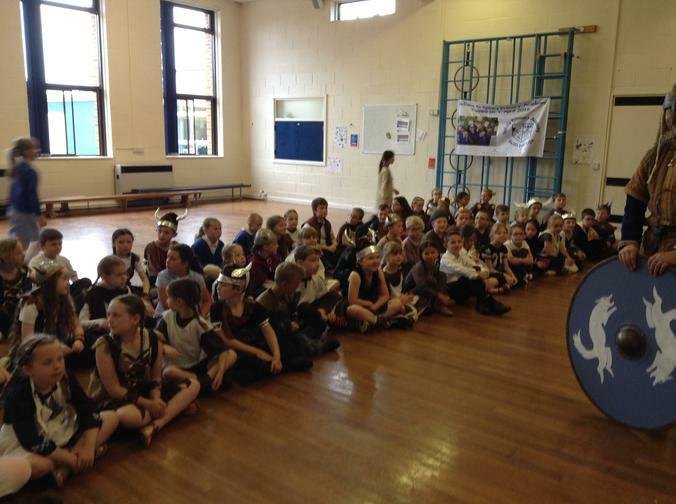 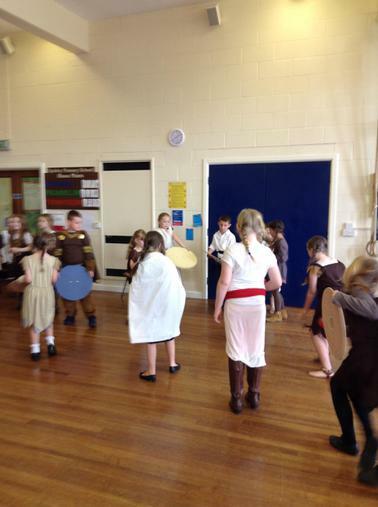 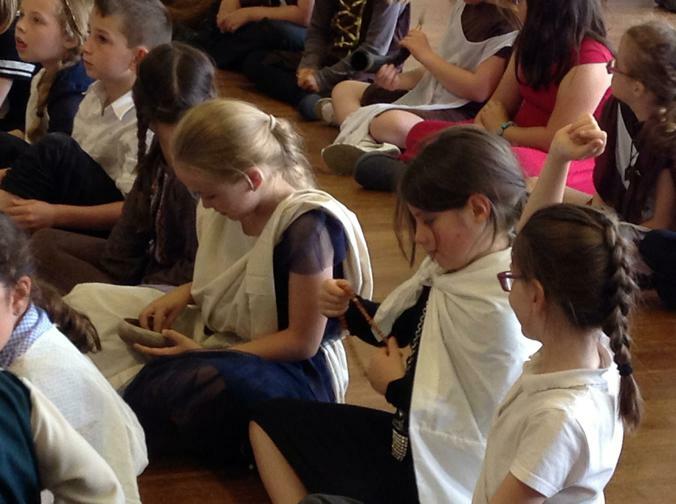 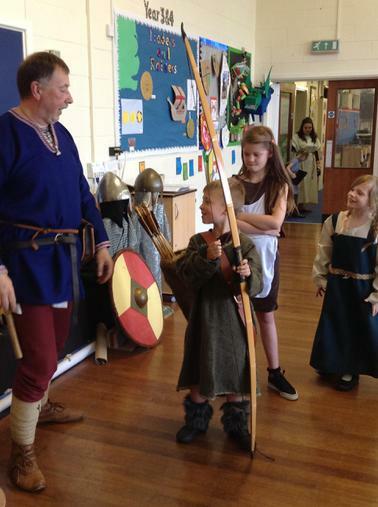 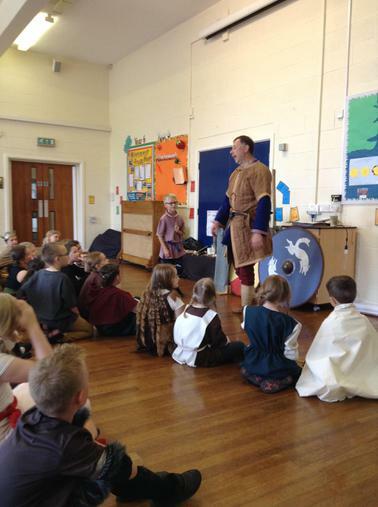 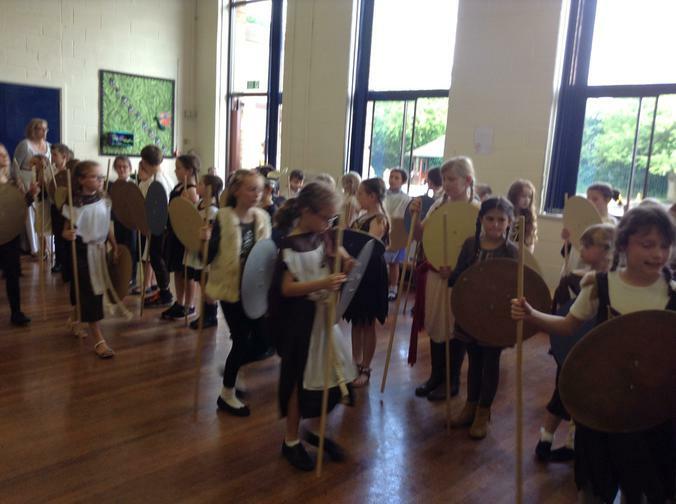 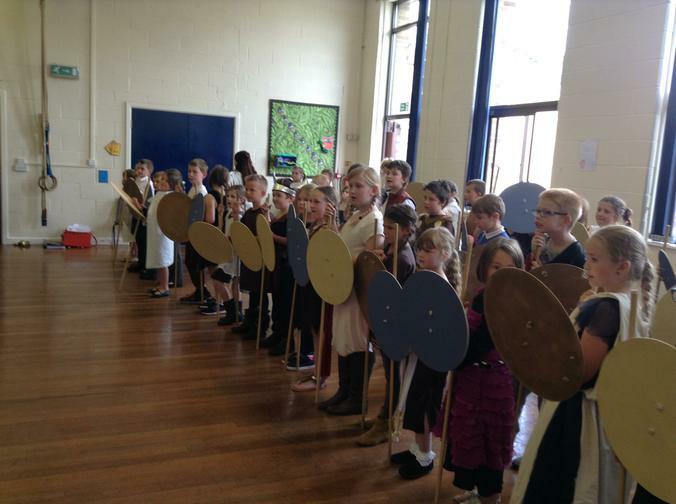 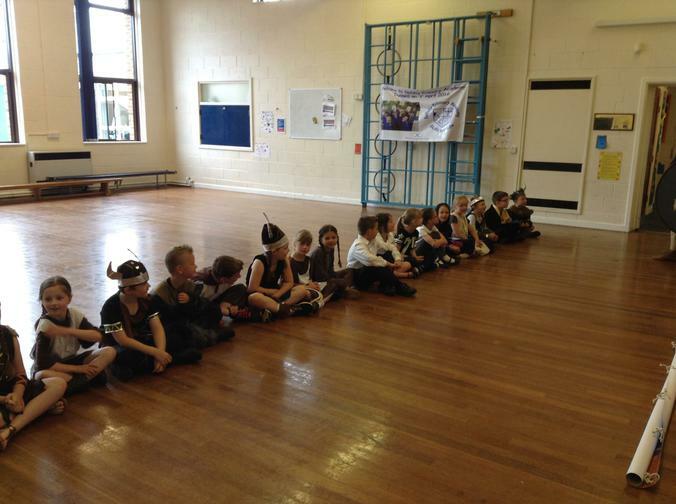 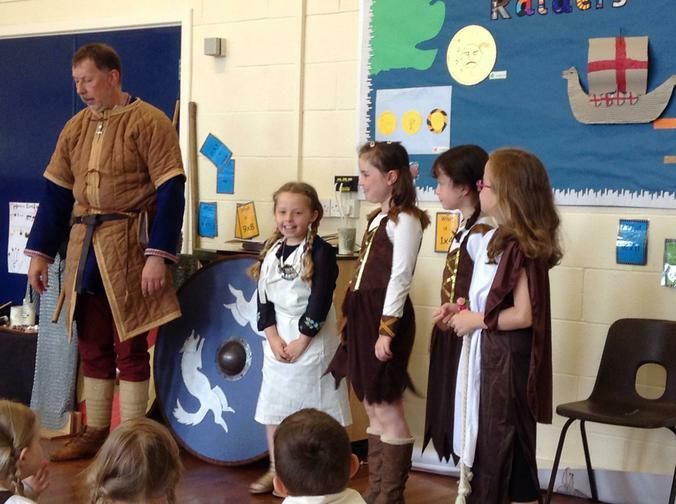 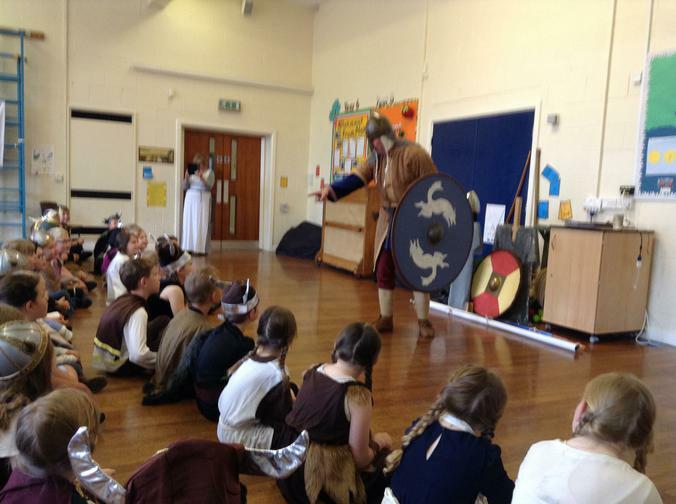 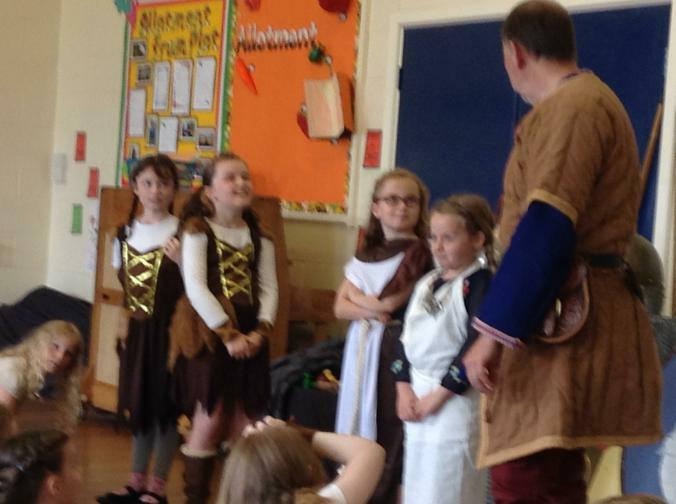 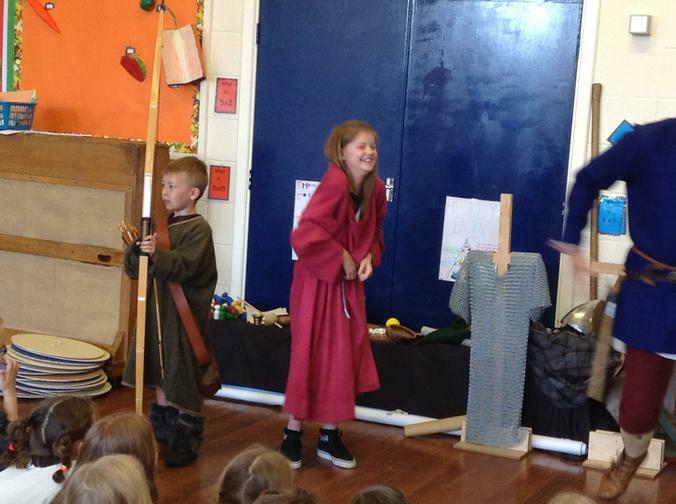 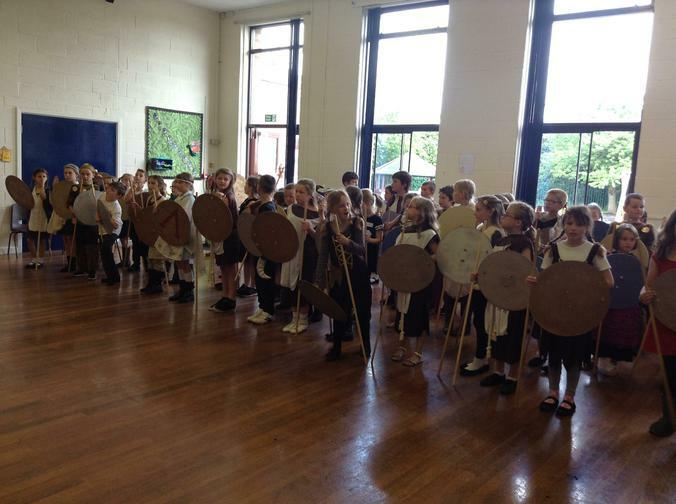 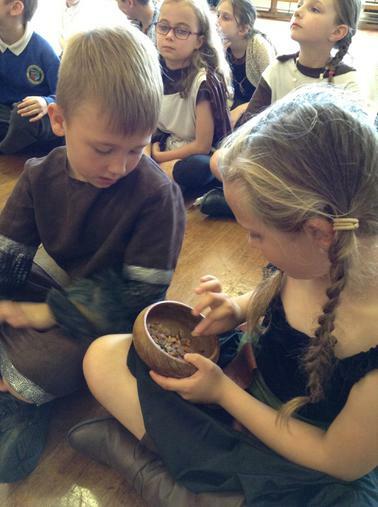 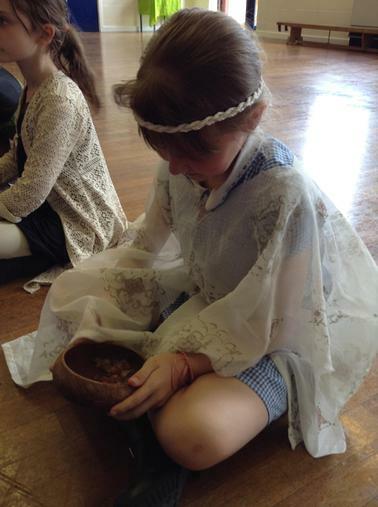 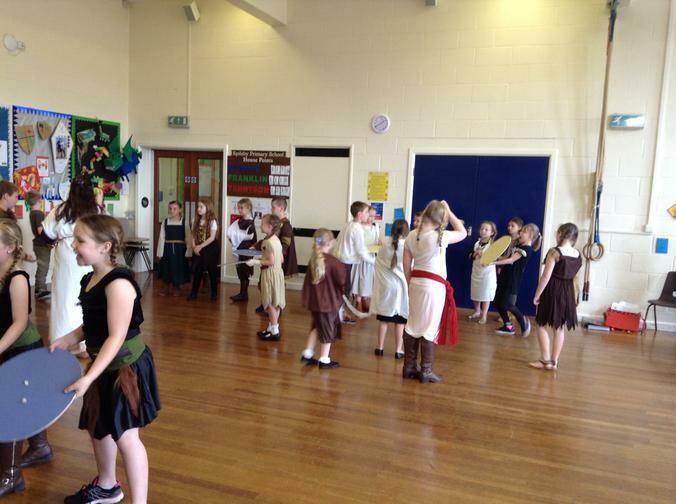 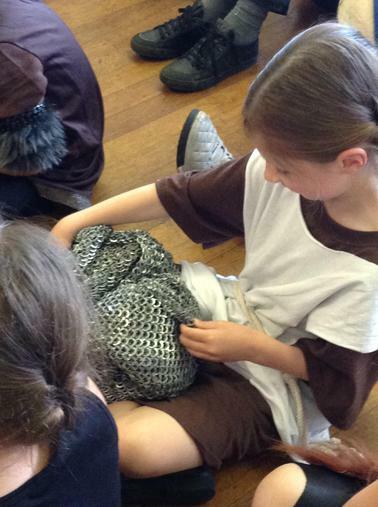 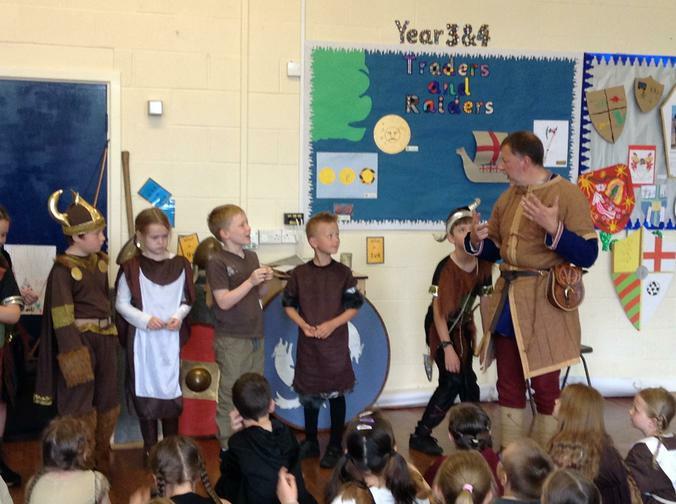 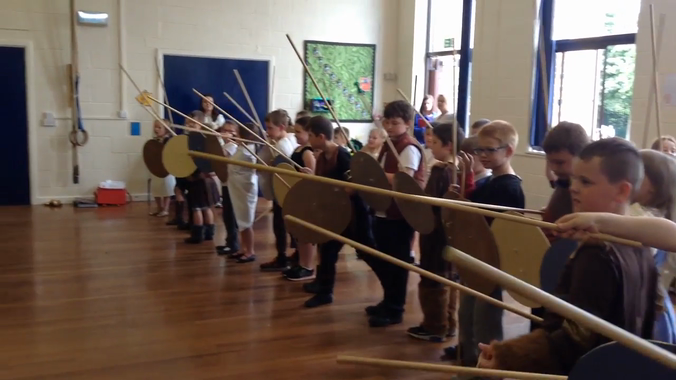 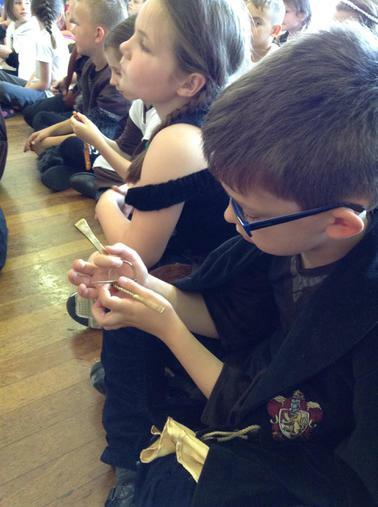 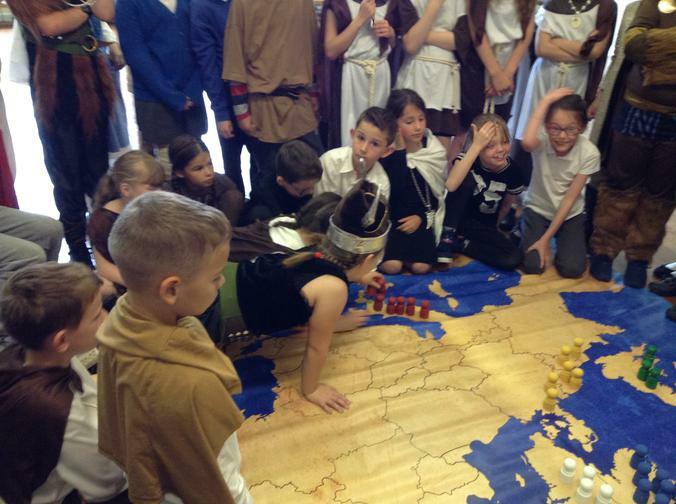 The children played their part and dressed as Viking warriors or maidens. 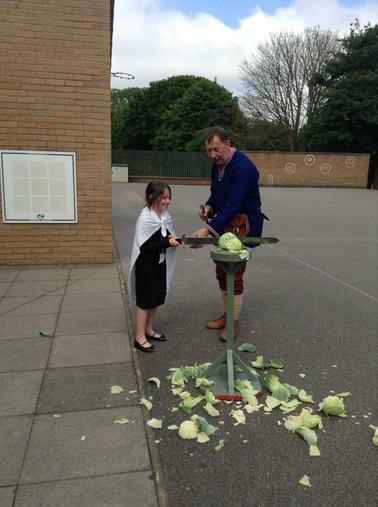 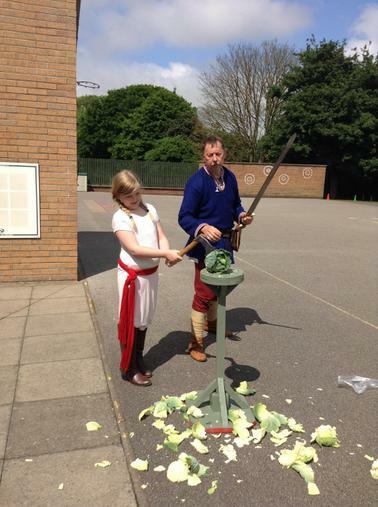 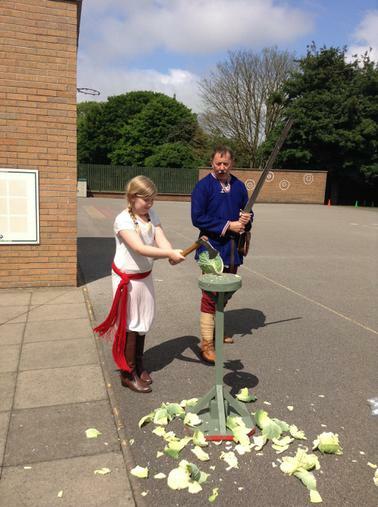 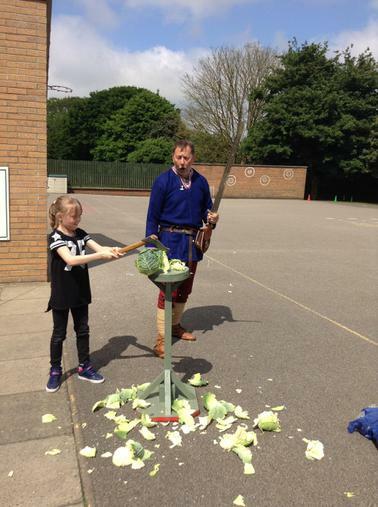 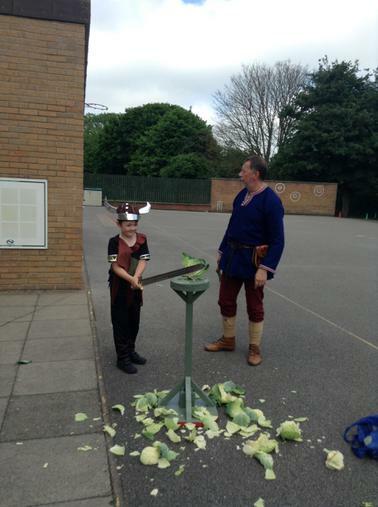 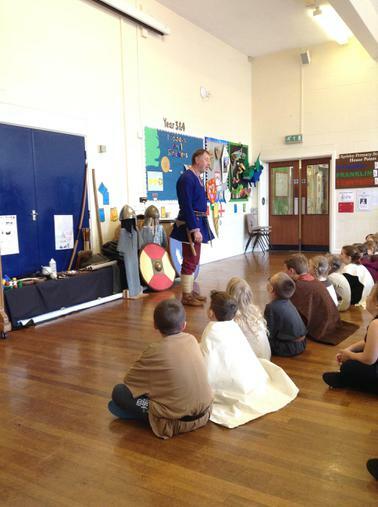 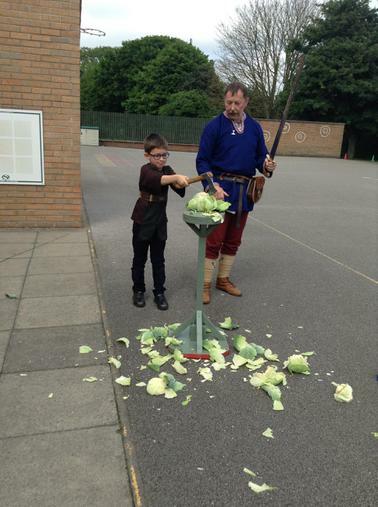 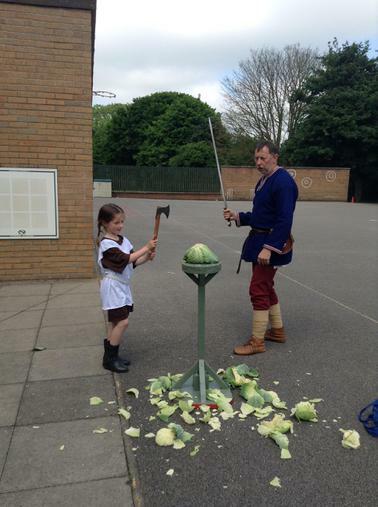 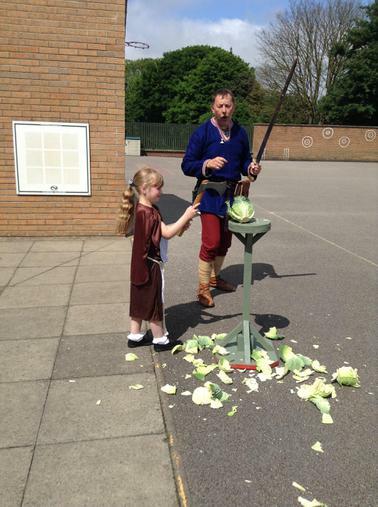 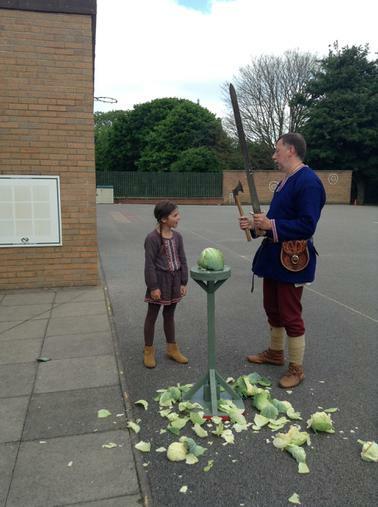 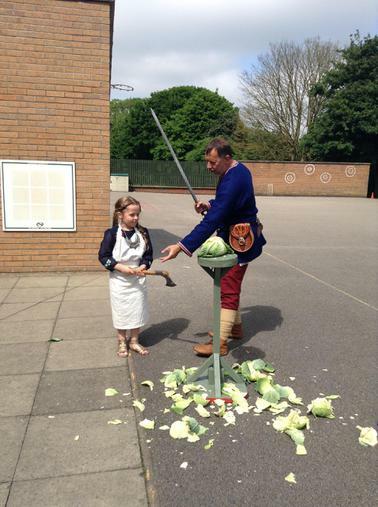 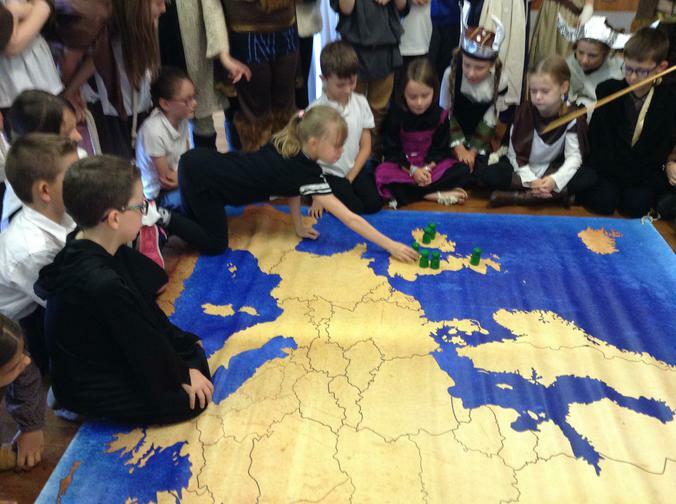 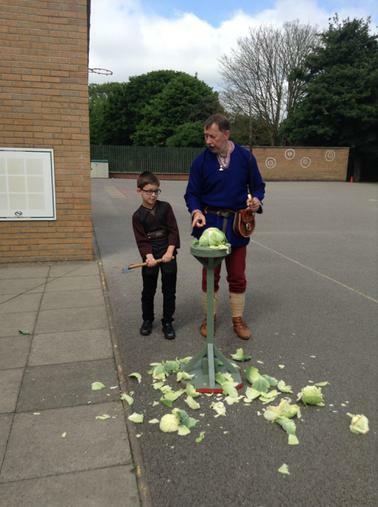 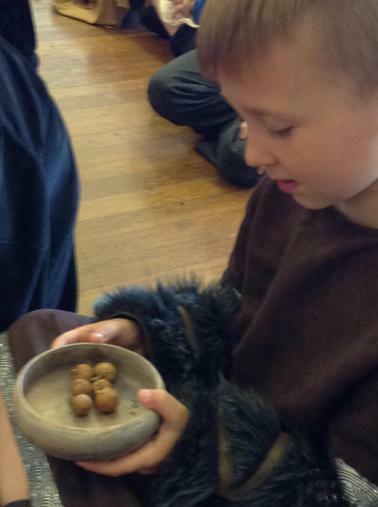 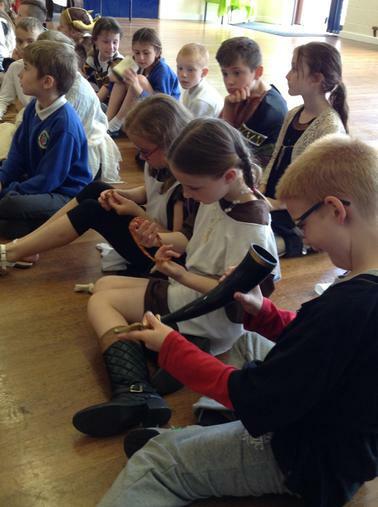 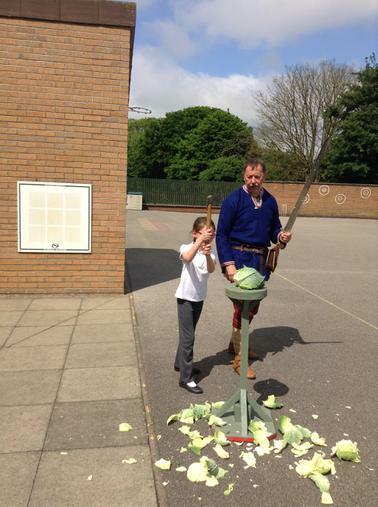 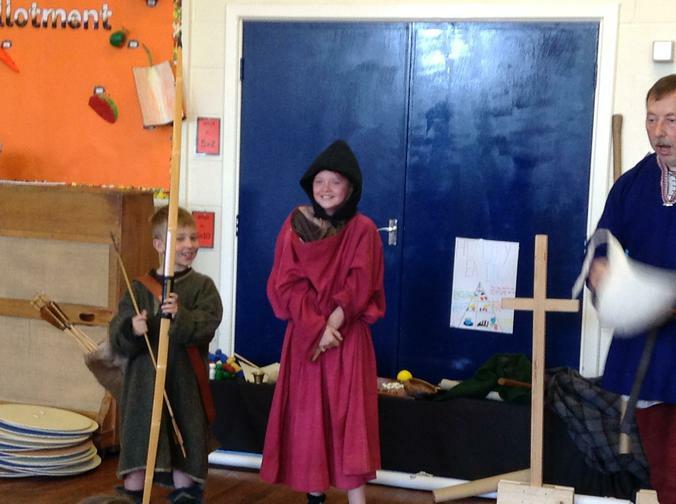 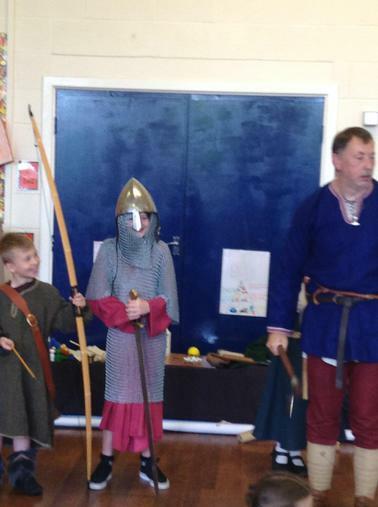 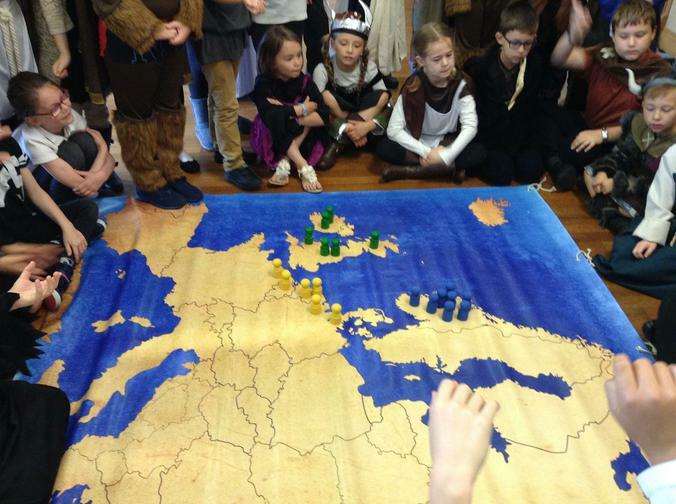 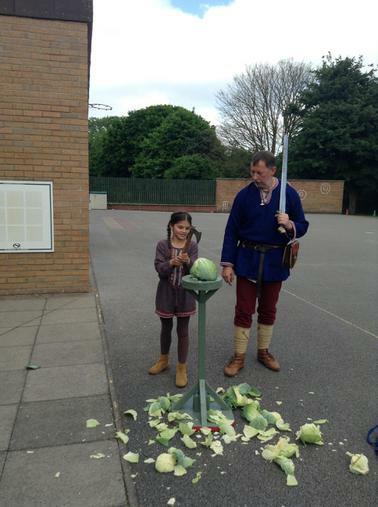 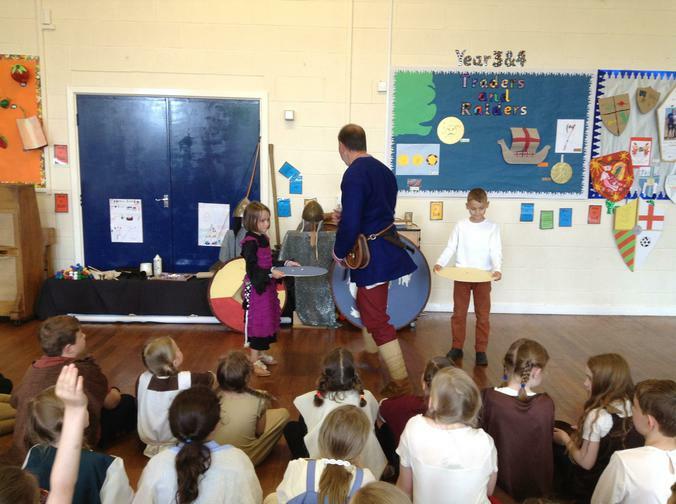 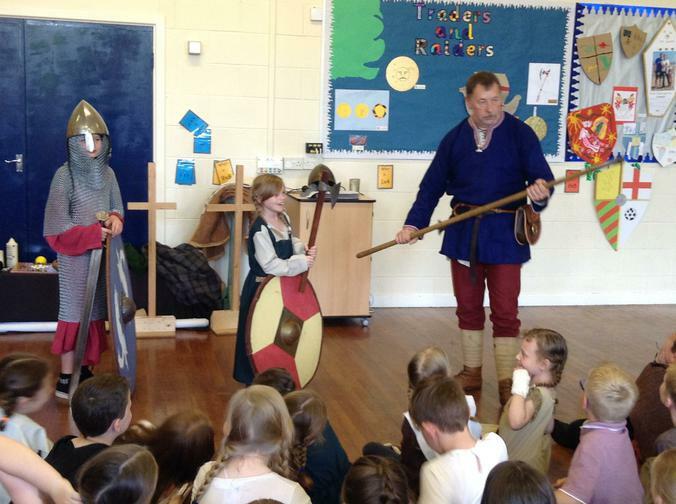 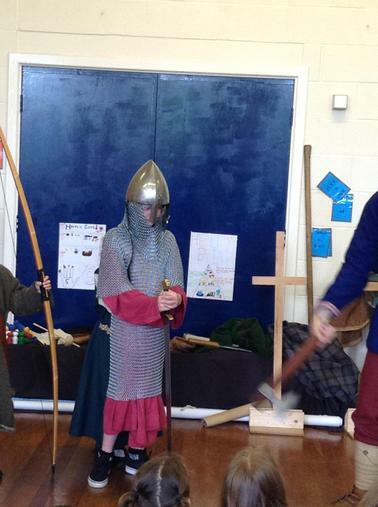 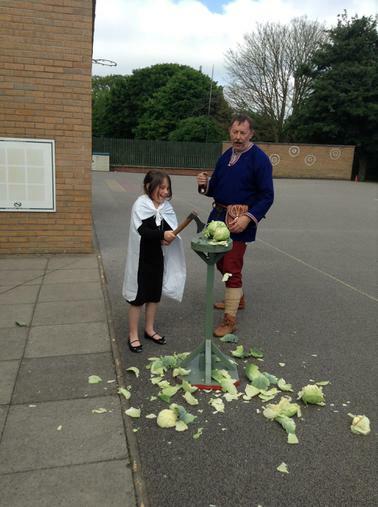 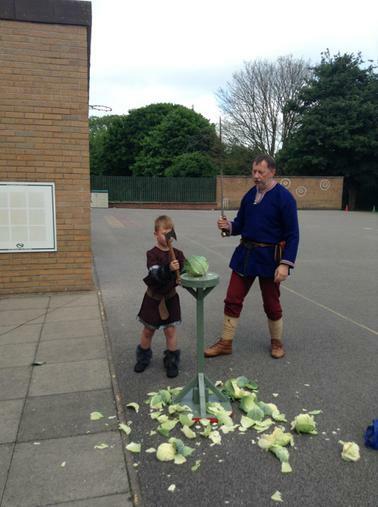 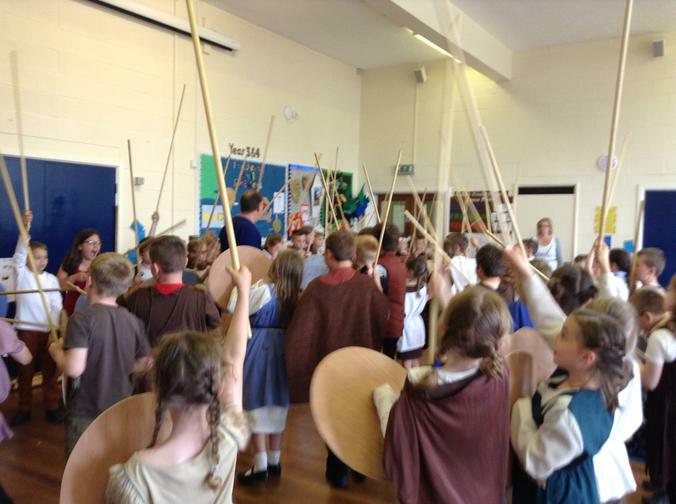 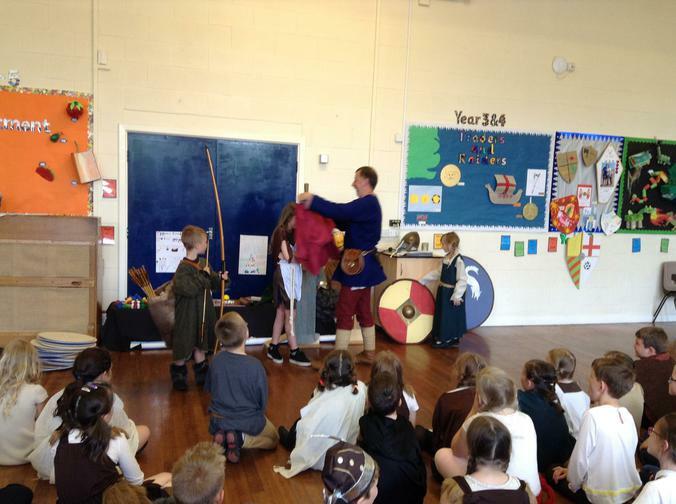 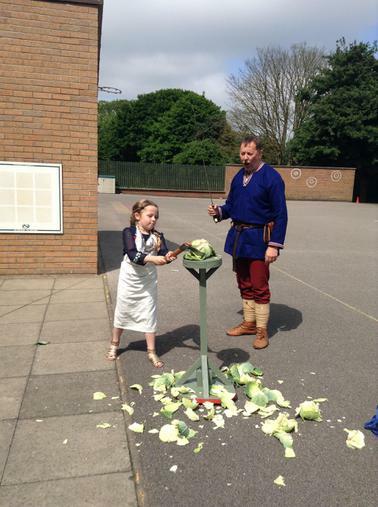 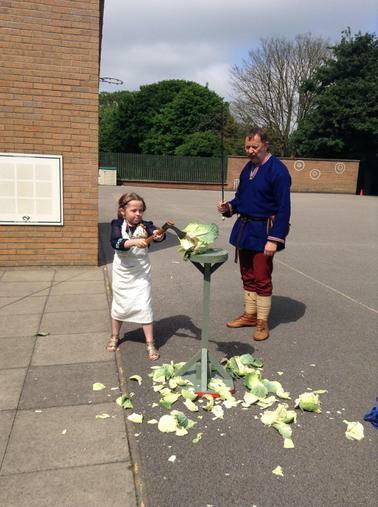 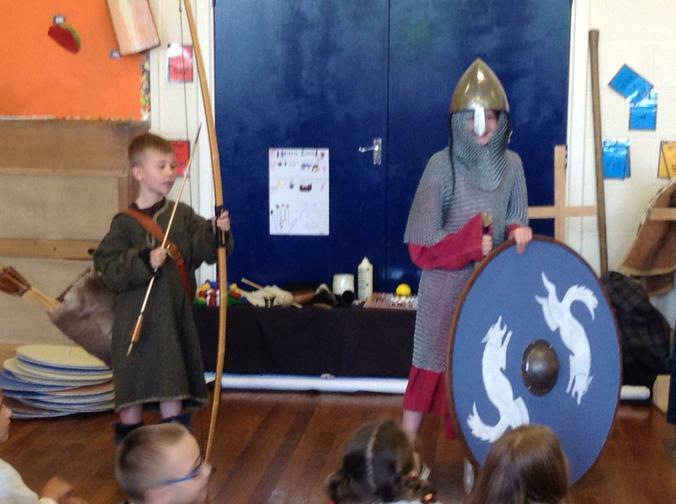 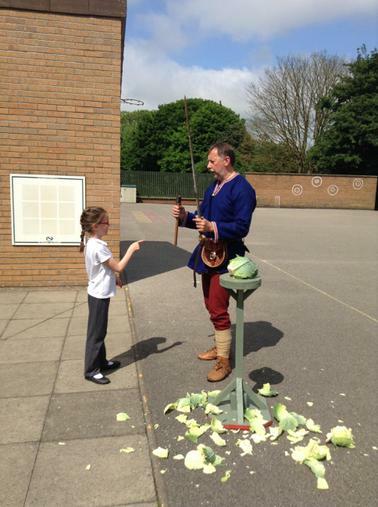 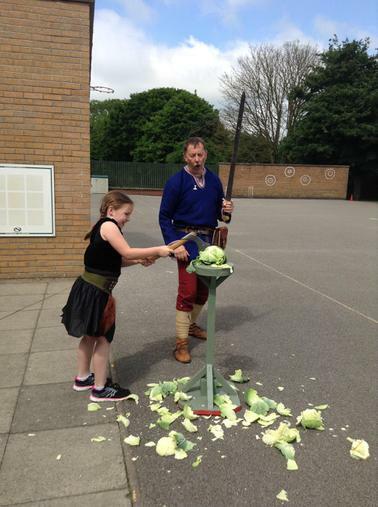 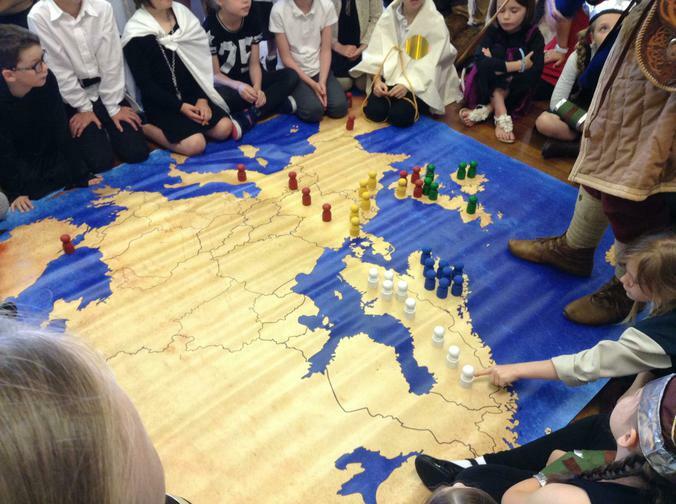 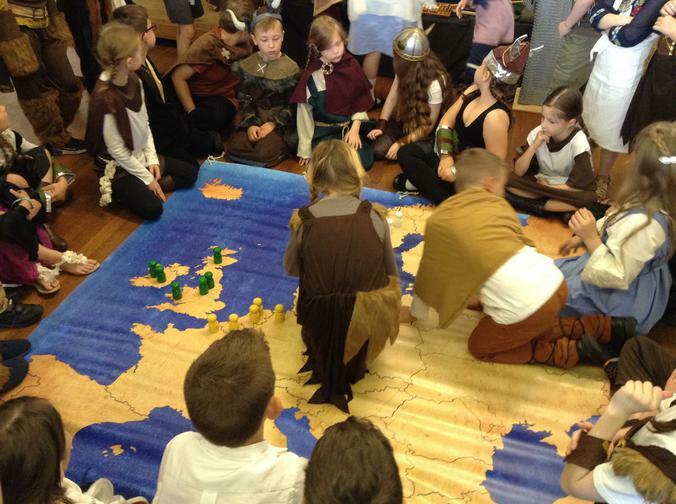 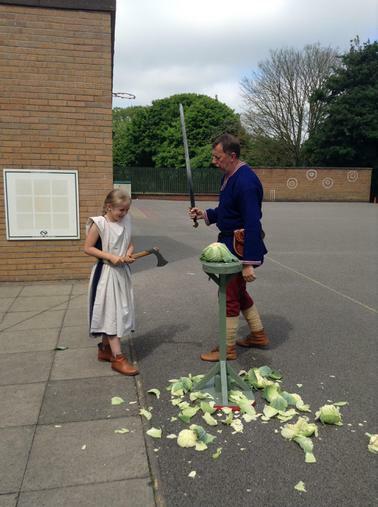 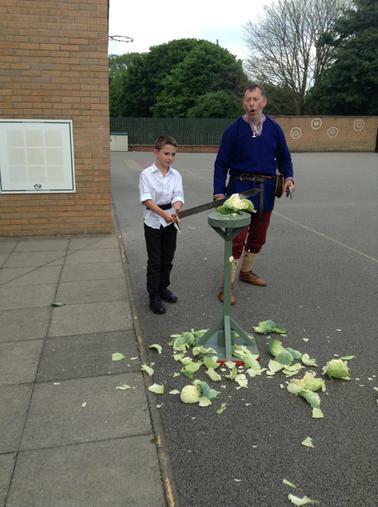 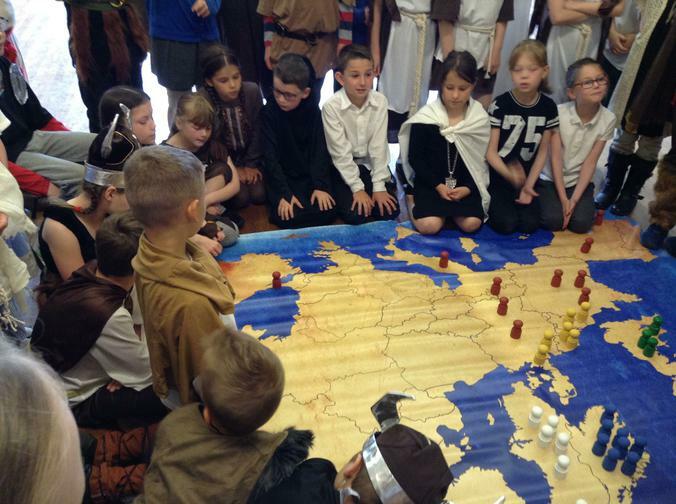 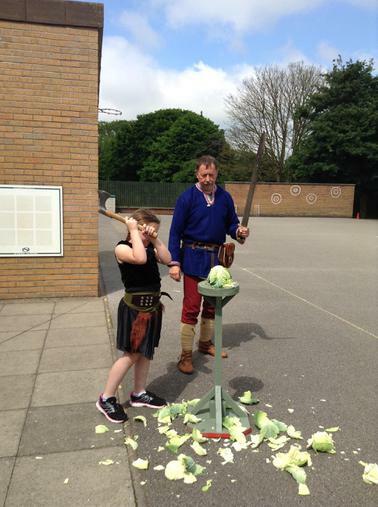 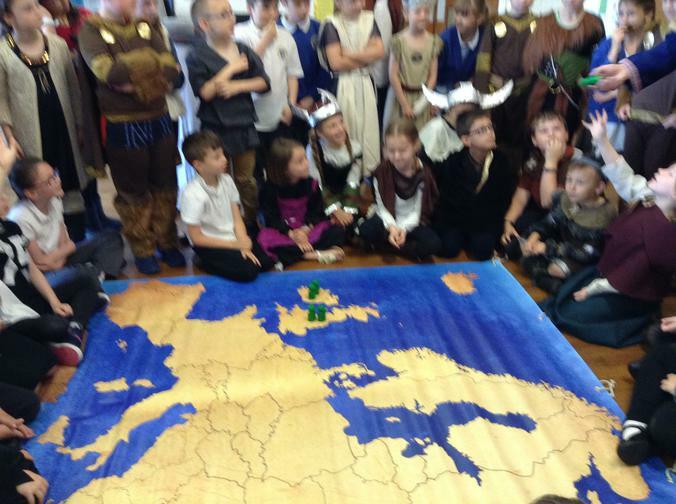 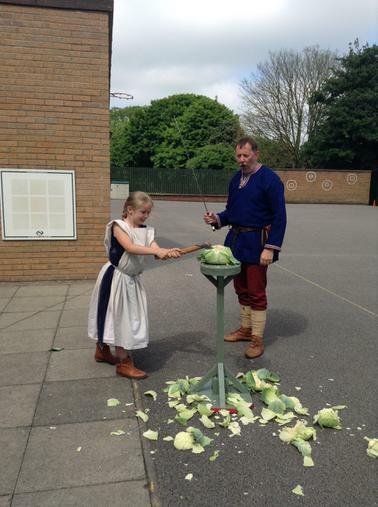 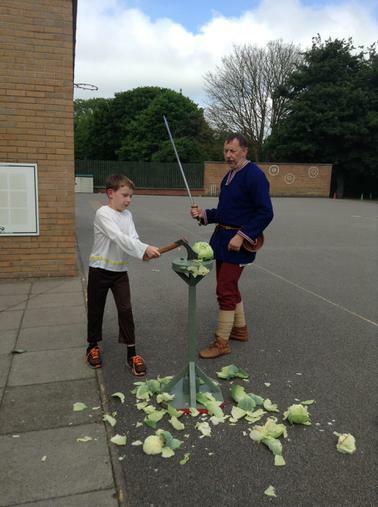 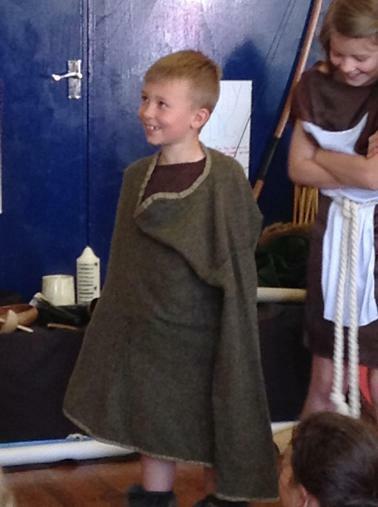 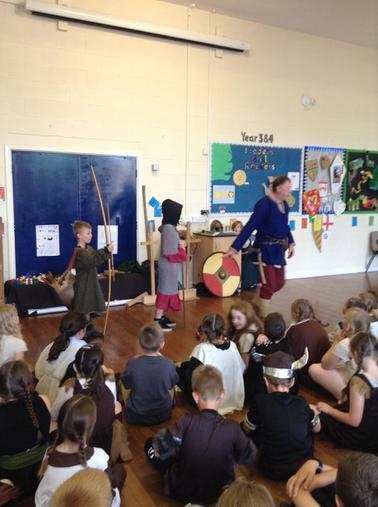 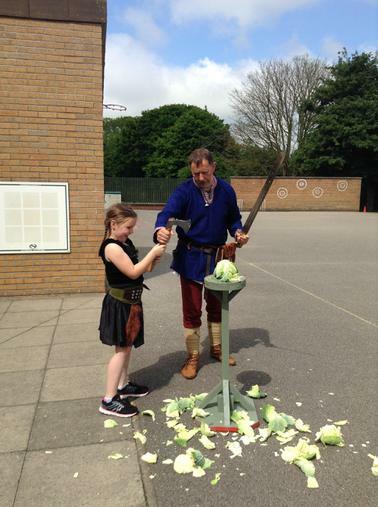 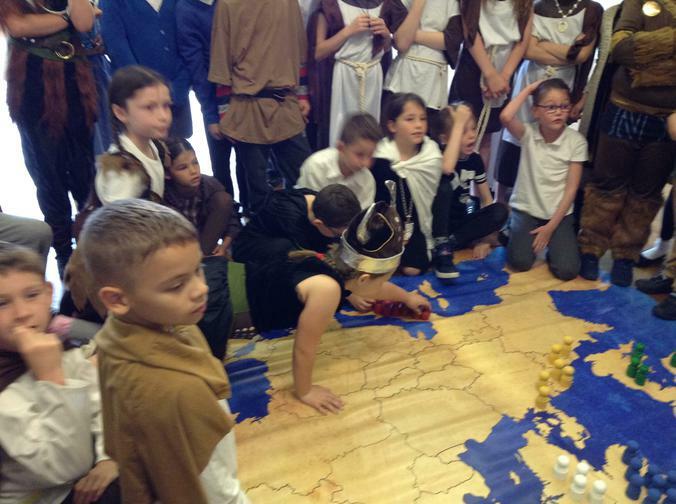 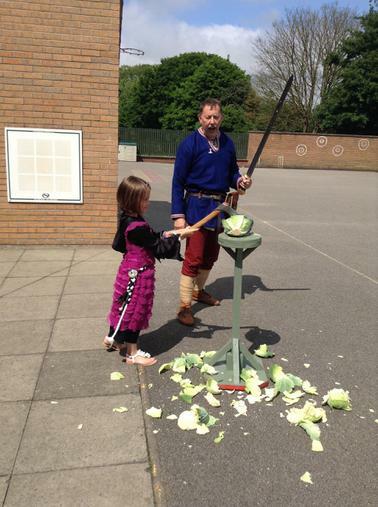 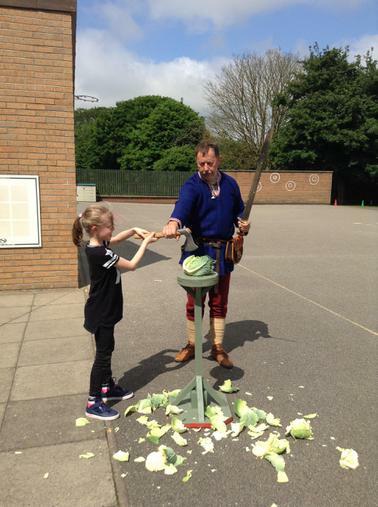 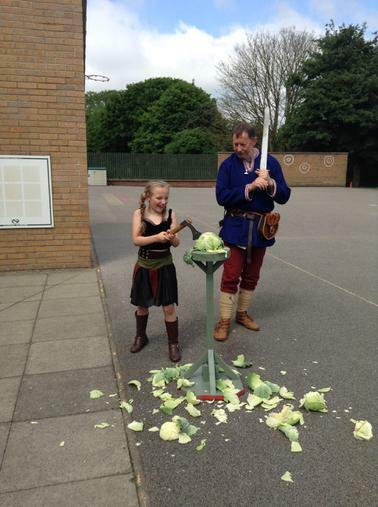 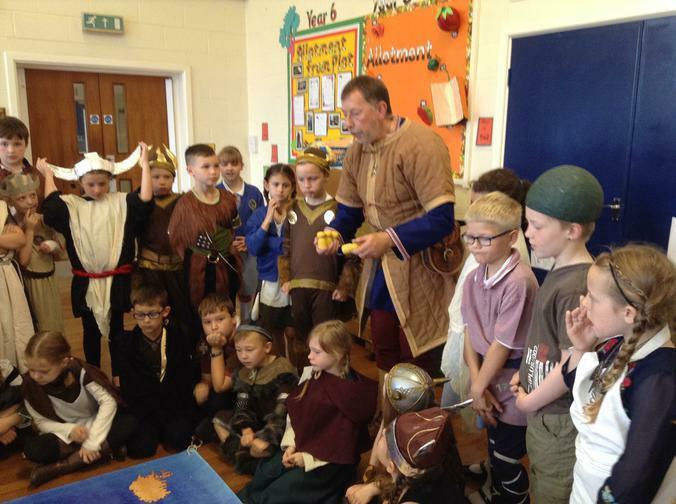 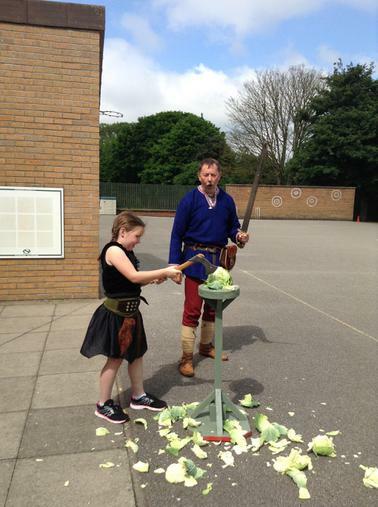 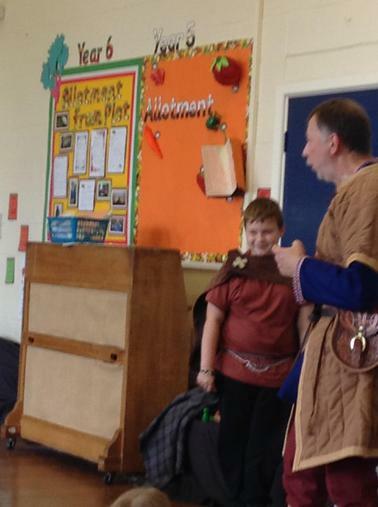 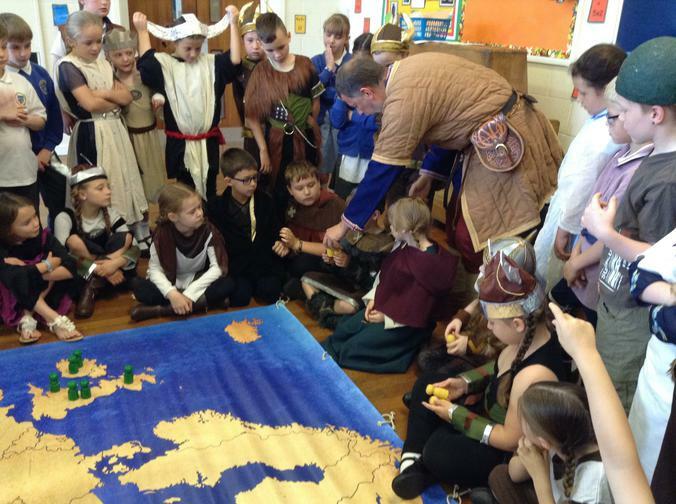 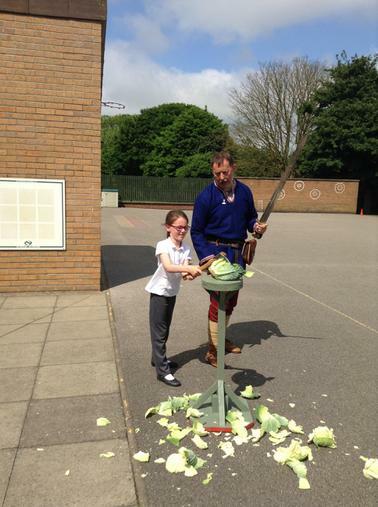 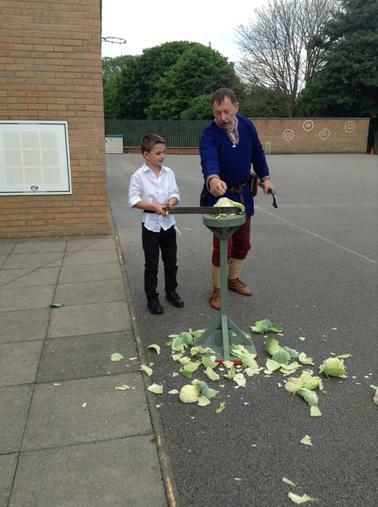 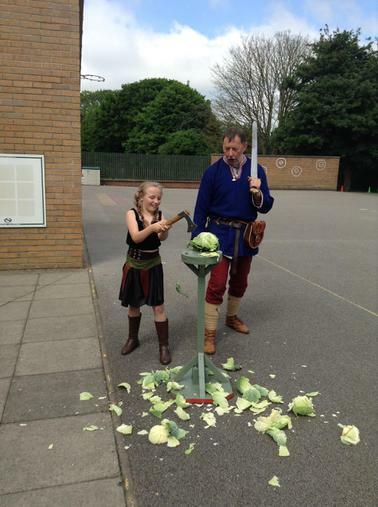 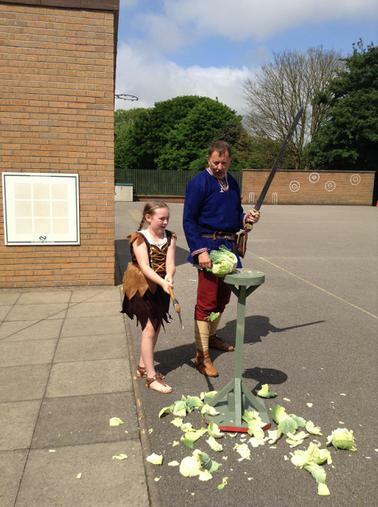 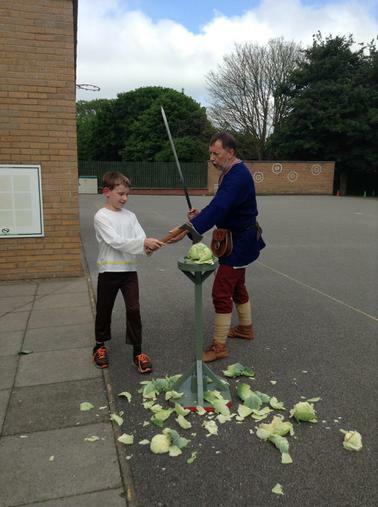 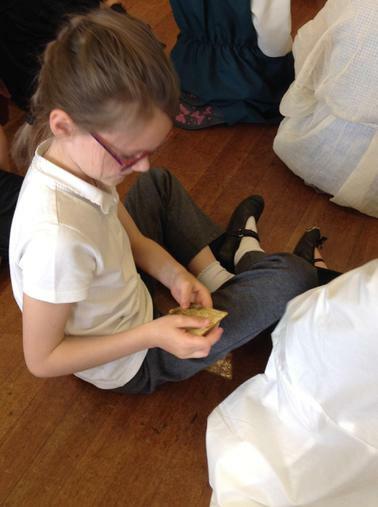 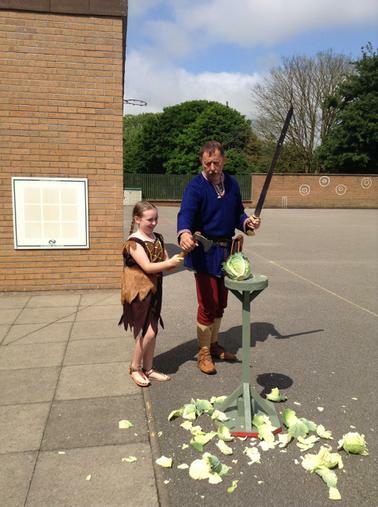 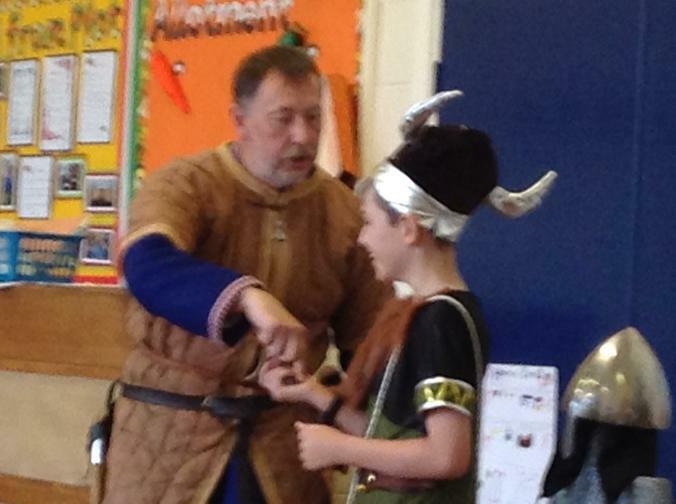 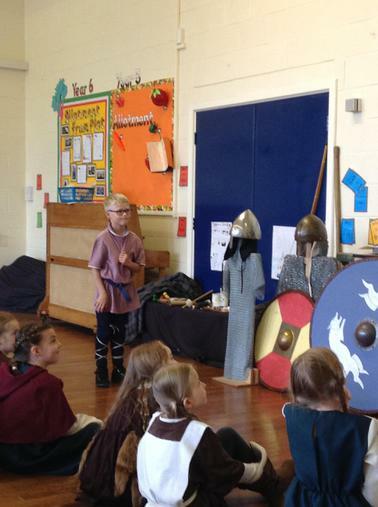 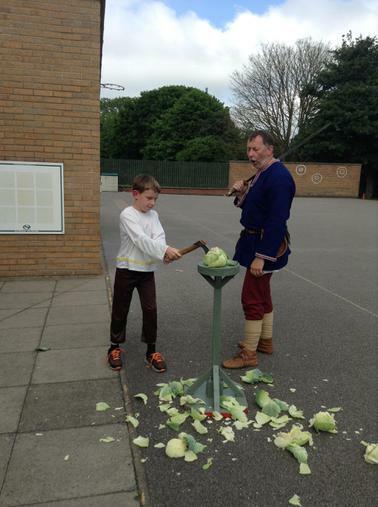 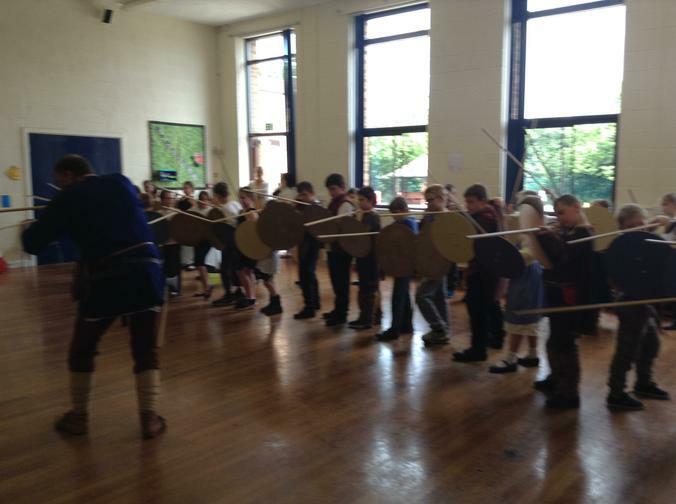 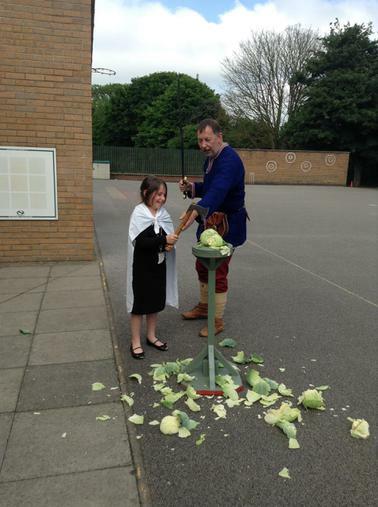 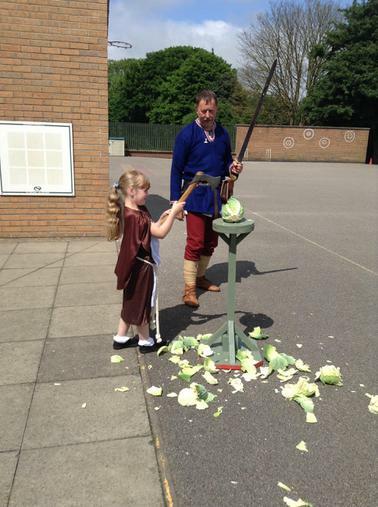 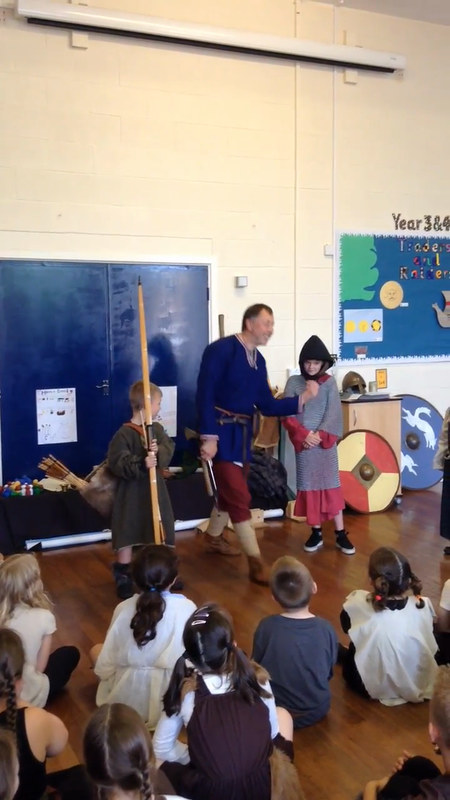 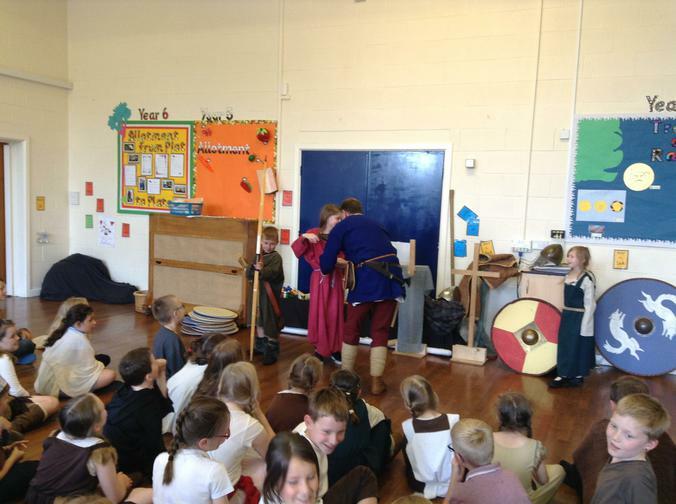 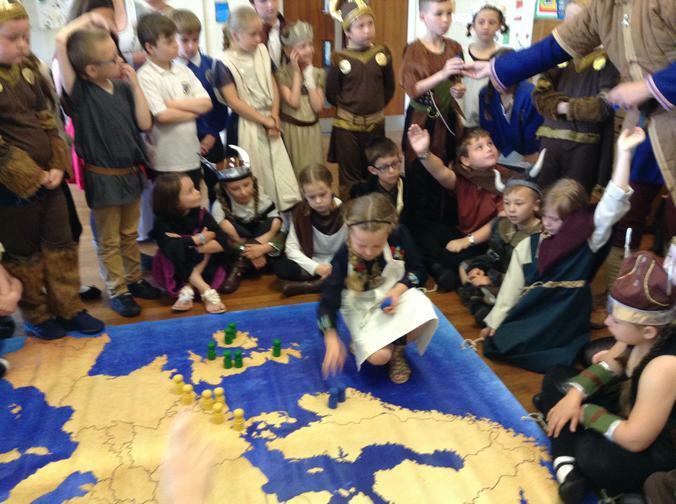 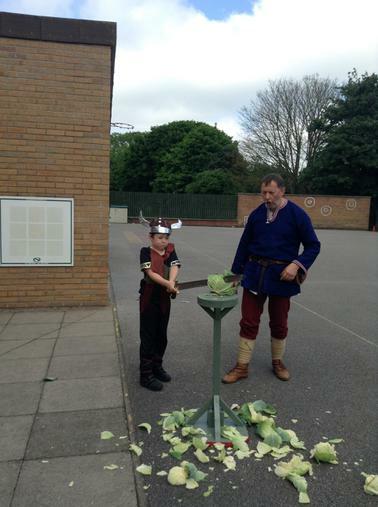 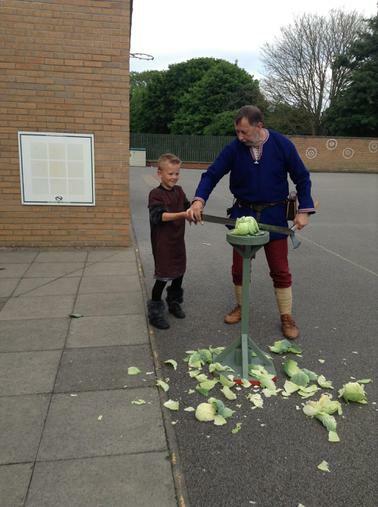 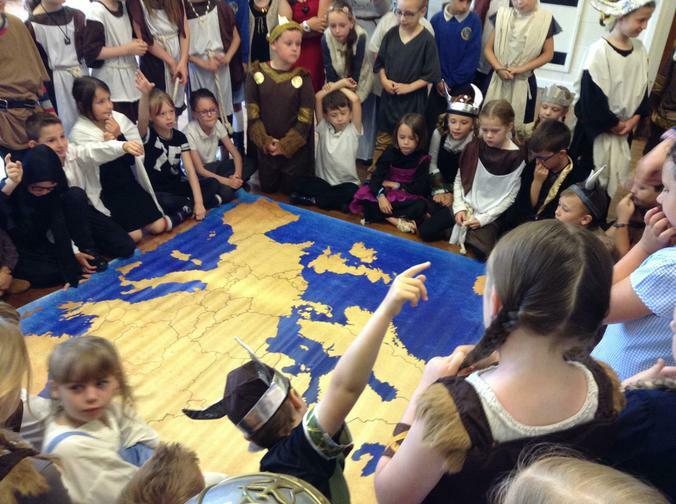 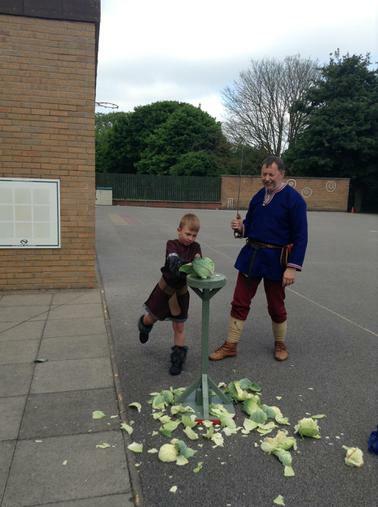 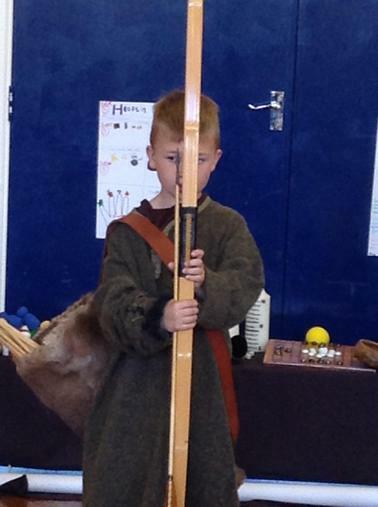 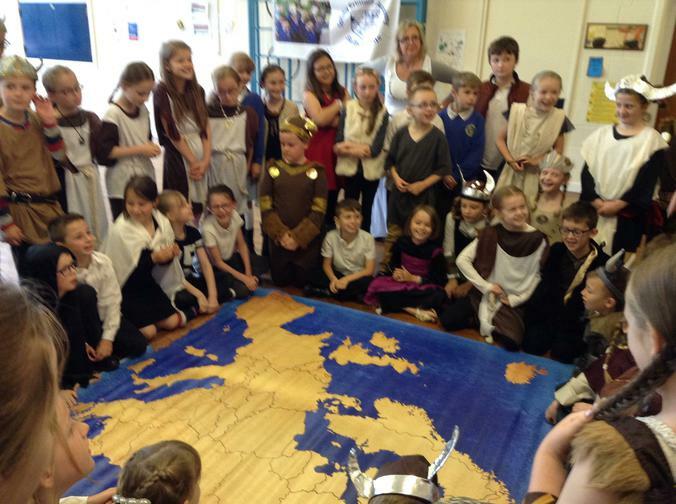 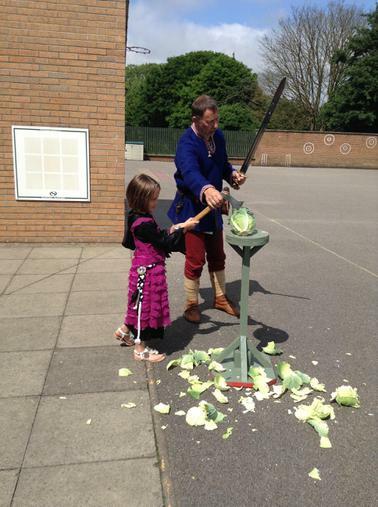 The day included different story tellings of how the Vikings came to be on our shores, to role play, to re-enactments of battle and to the final chopping off of Saxon heads!